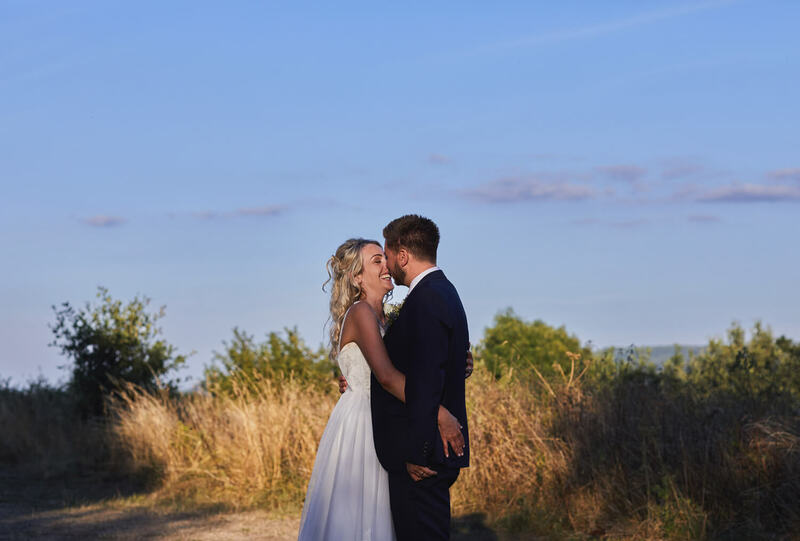 2018 has been awesome and seen the hottest summer on record, which had made my job easier with lots of beautiful light. 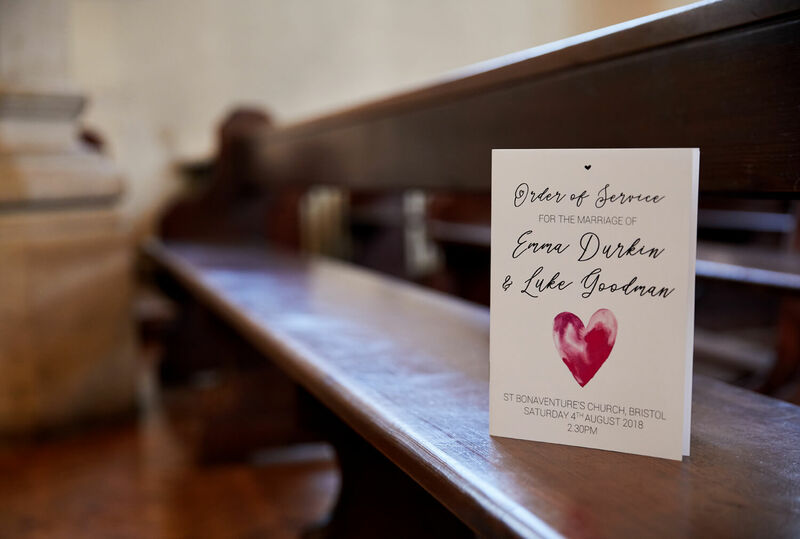 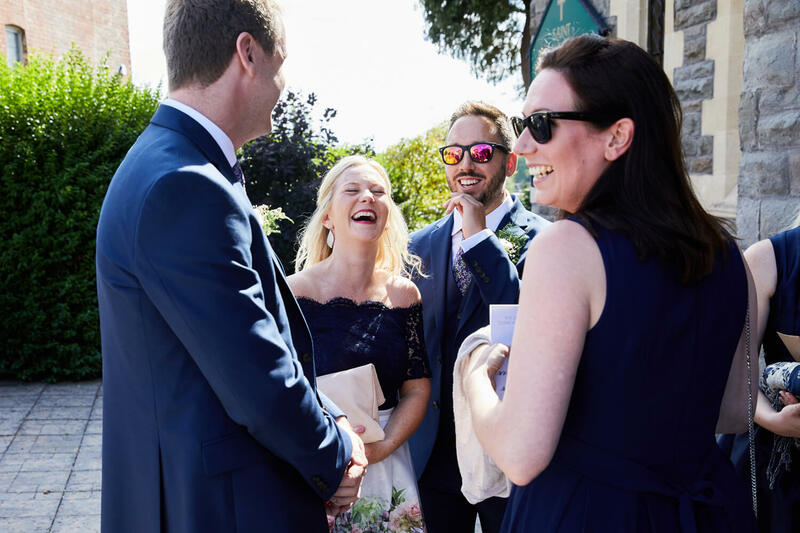 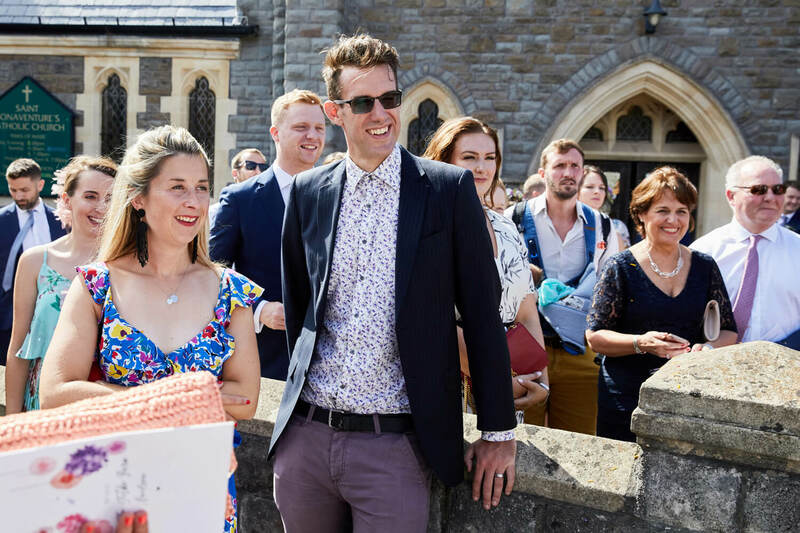 Emma & Luke were not disappointed with the roasting sunshine which was delivered on their big day. 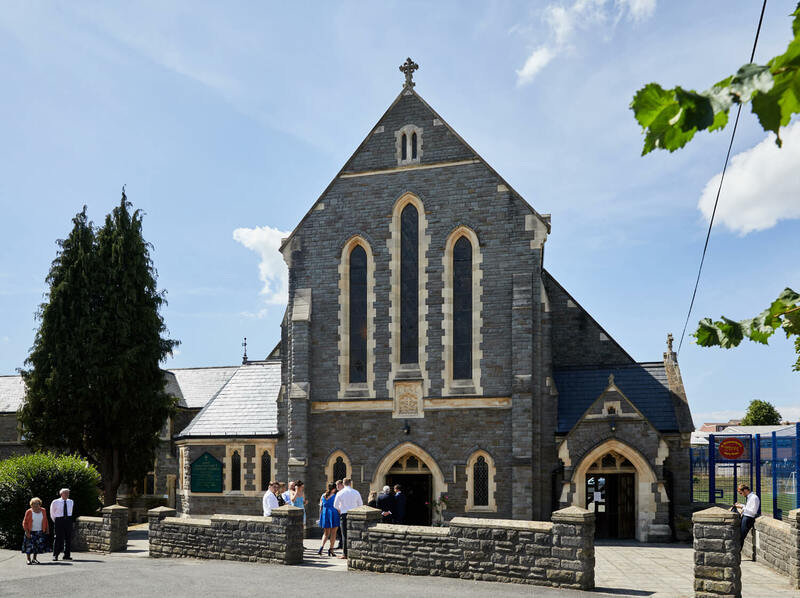 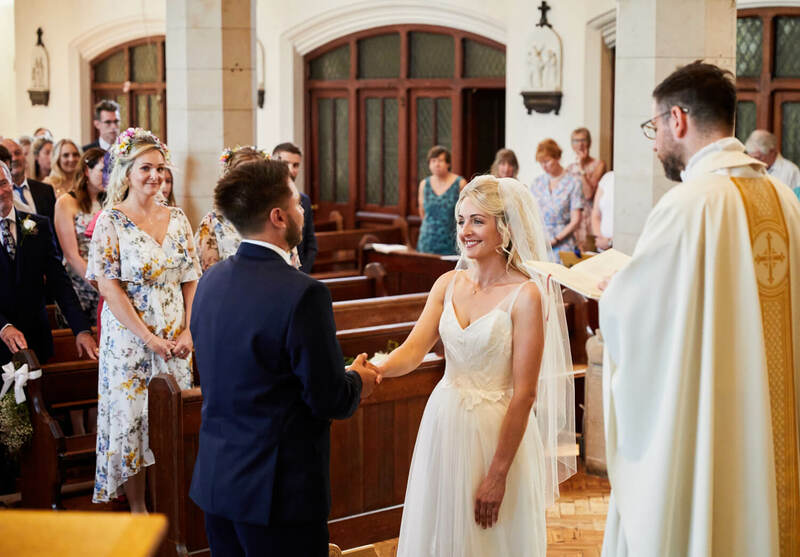 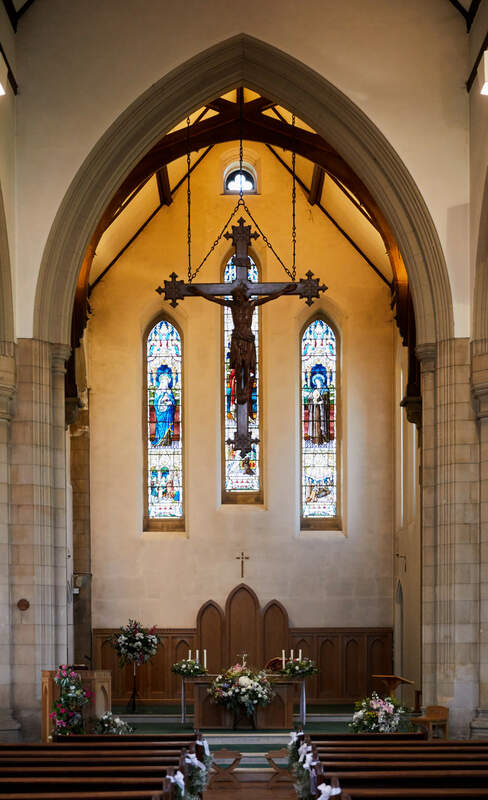 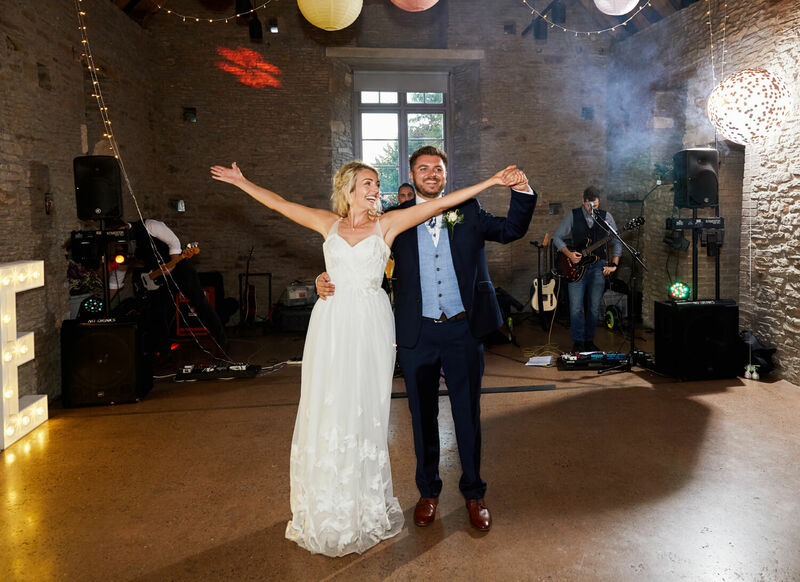 They had their ceremony at the stunning St Bonadventure’s Church in Bristol followed by the wonderfully converted Nailsea Tithe Barn. 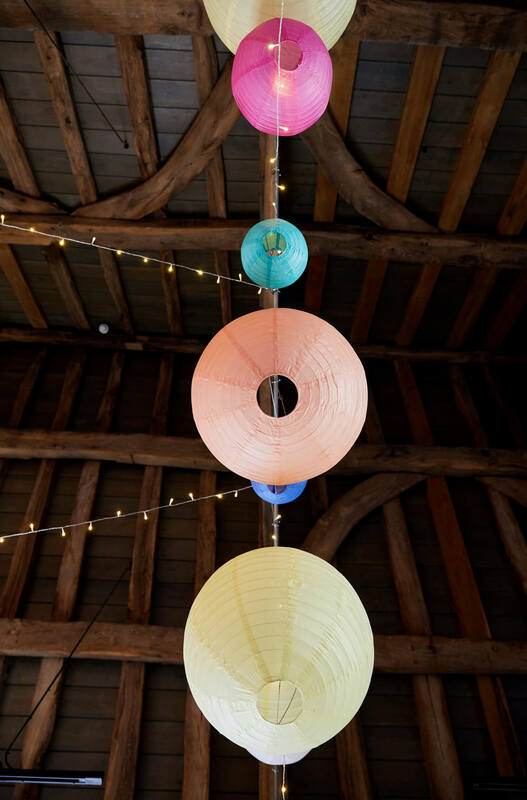 The barn dates back to 1480 and has been fully restored packed full of its original features. 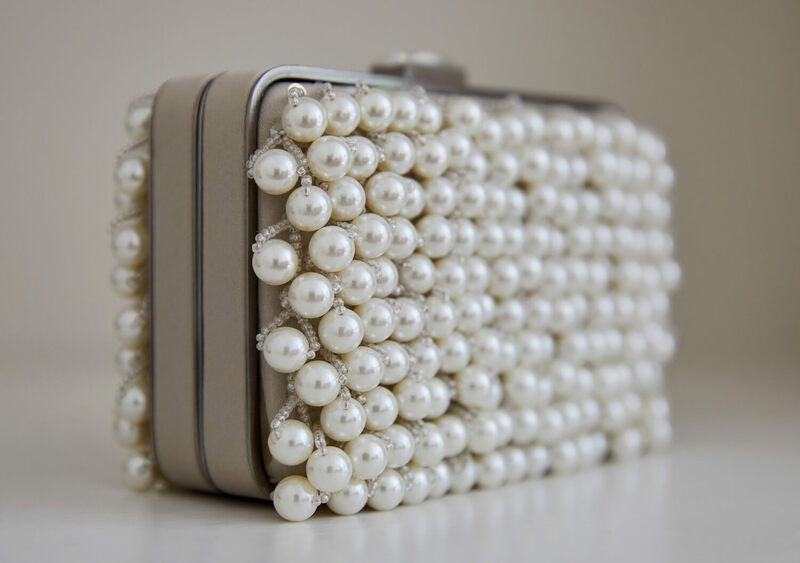 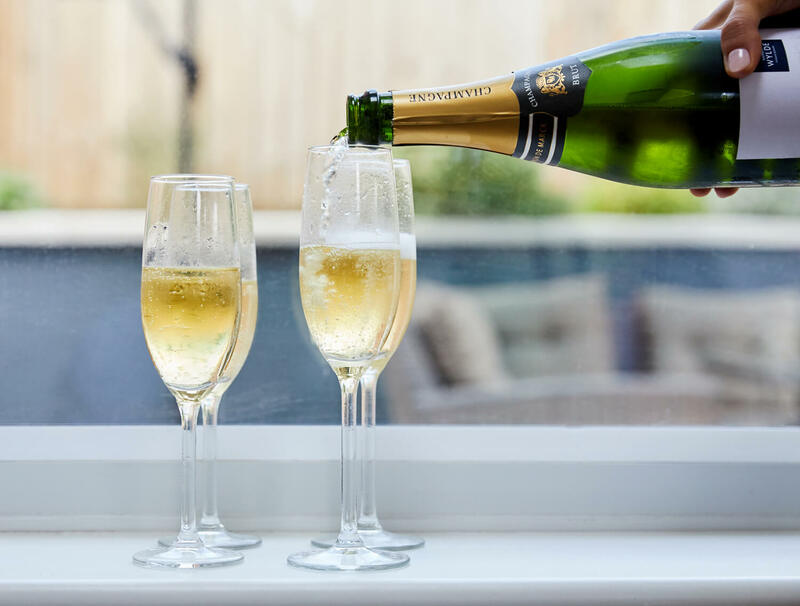 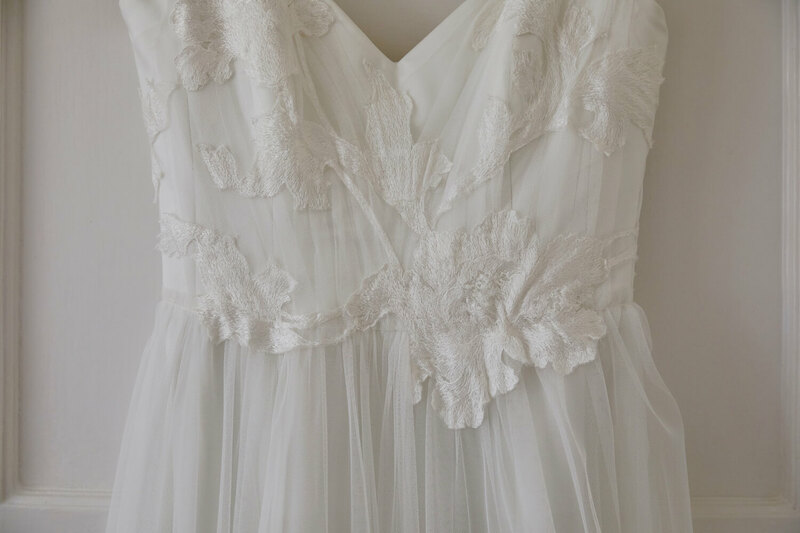 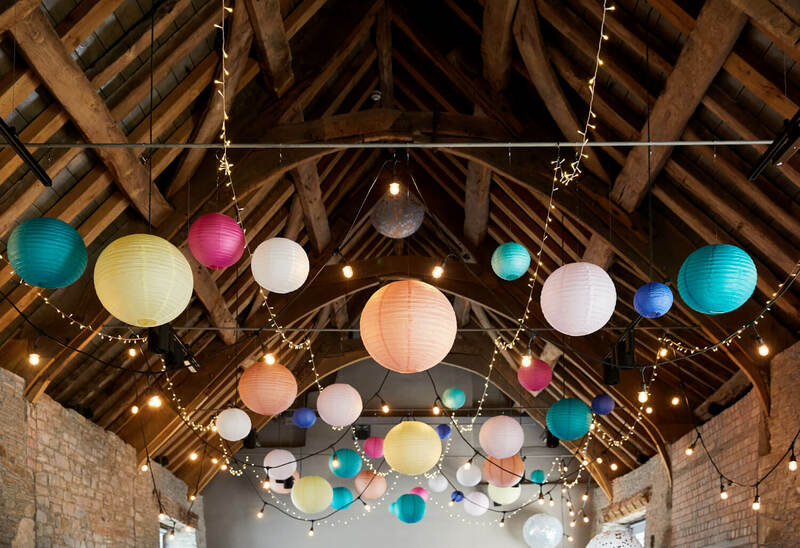 Perfect for wedding celebrations. 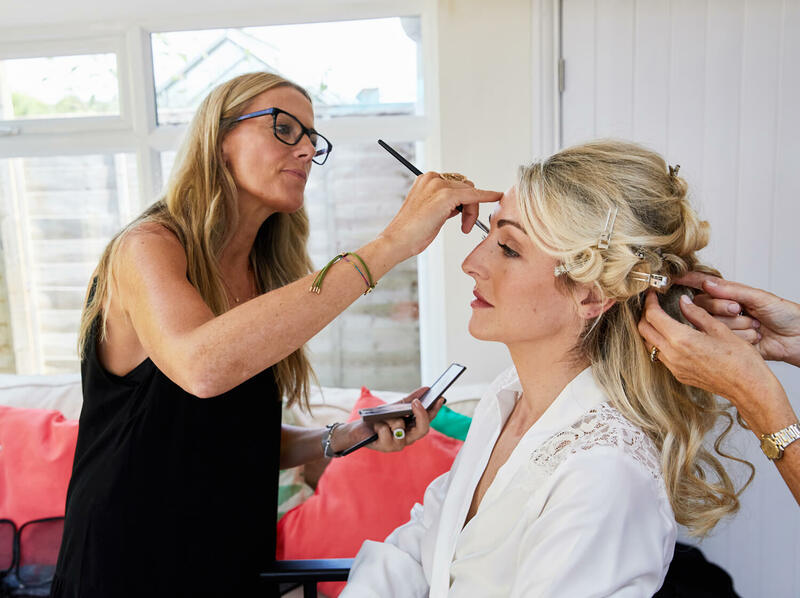 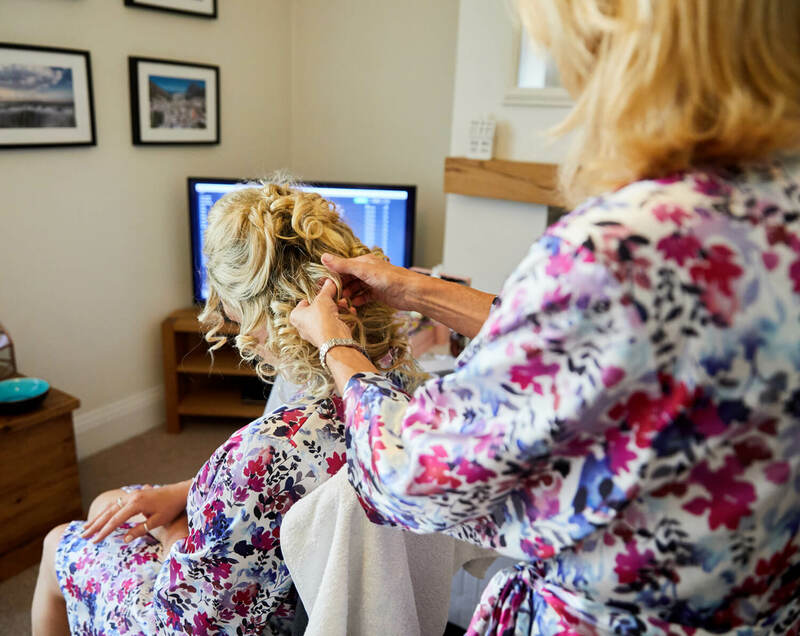 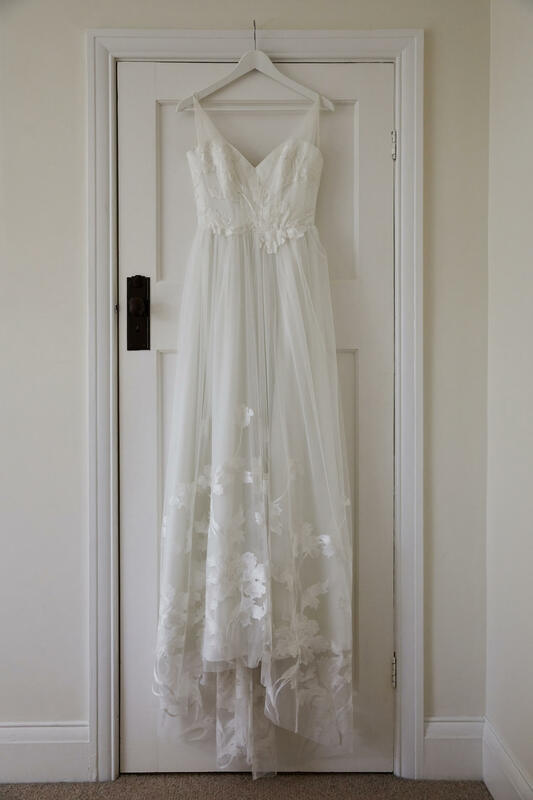 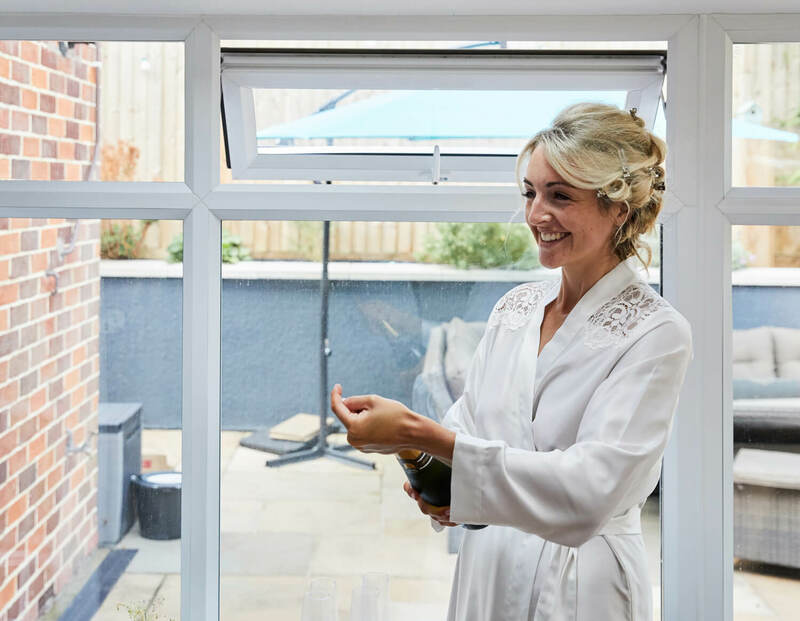 The morning preparations started off at Emma and Luke’s stylishly decorated home in Westbury-on-Trym. 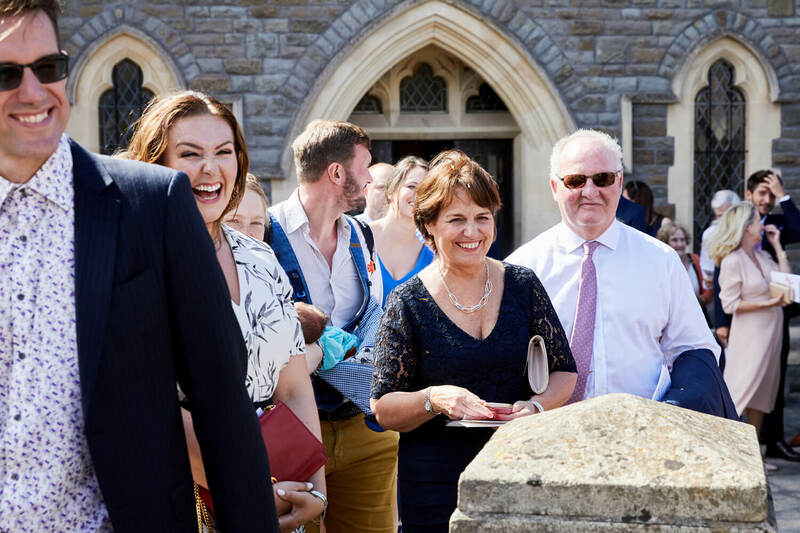 I was met with a warm welcome and hot cuppa. 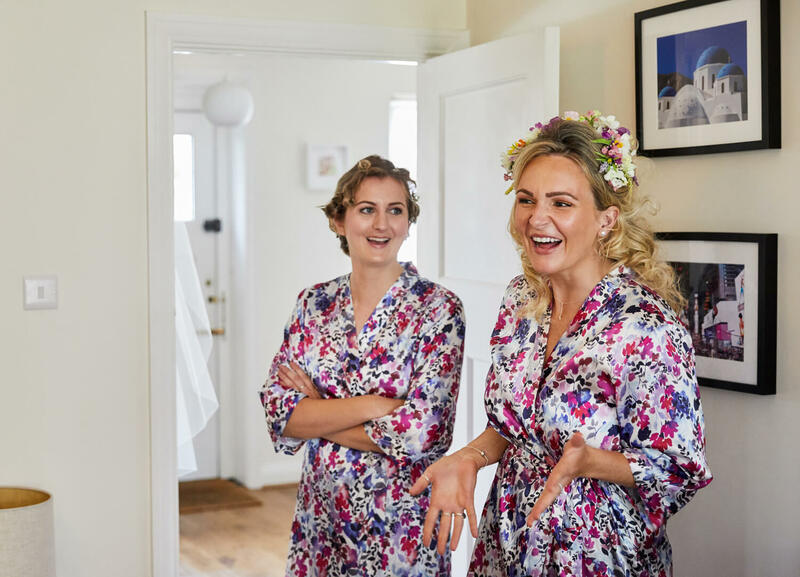 The girls were very calm and were just chilling like it was any other morning. 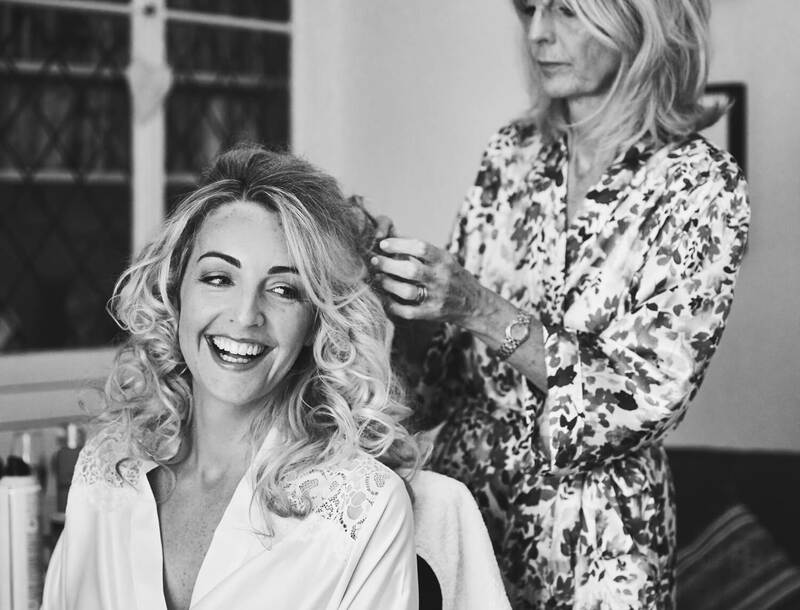 They were having their makeup done by the talented Nina Norma and hair by the Mother of the bride. 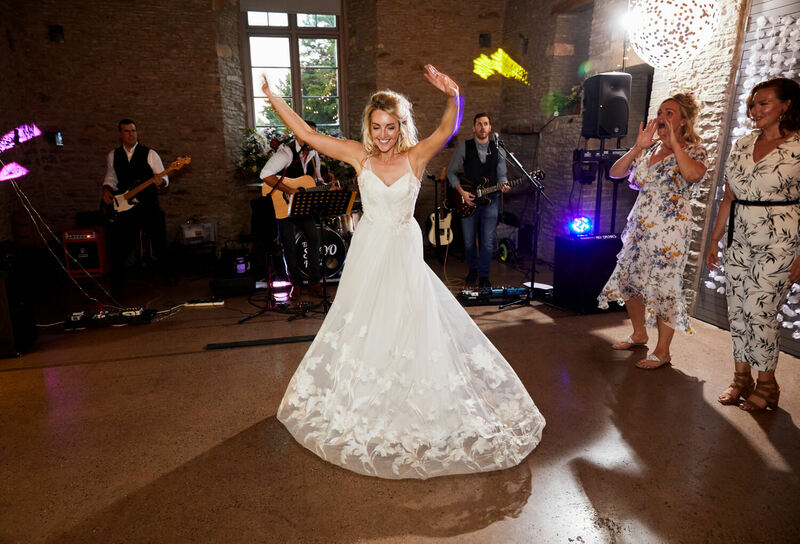 She also was the florist for the day so somewhat multi-talented! 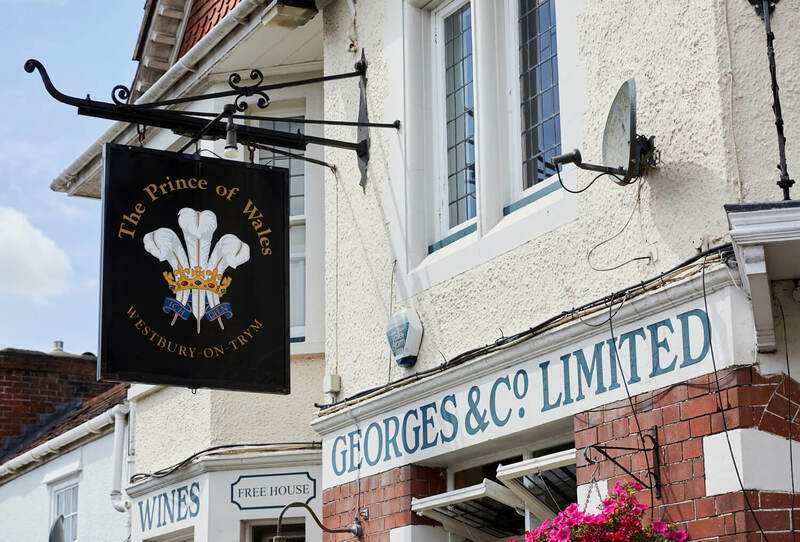 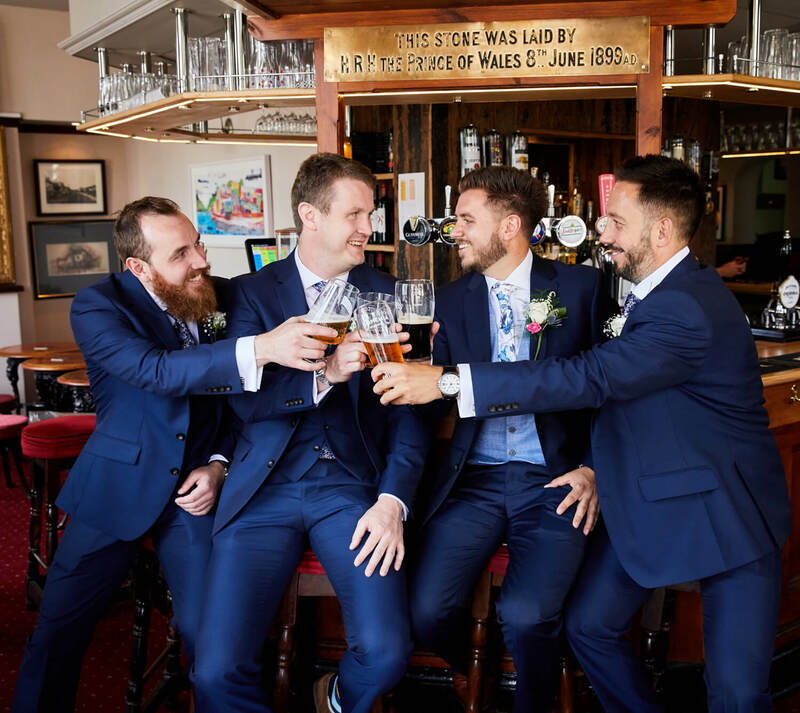 I met the boys while they had a cheeky pint or two in their local, just down the road. 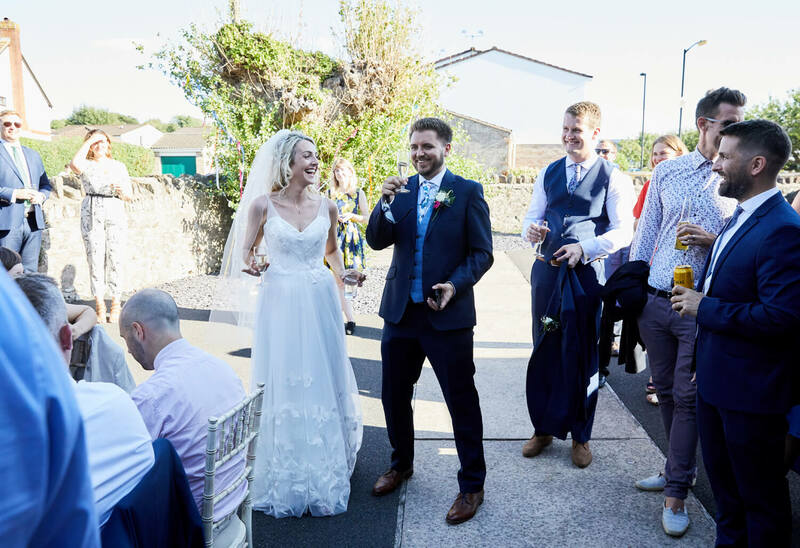 Luke was cool as a cucumber, not nervous in the slightest, obviously a quality the couple both share. 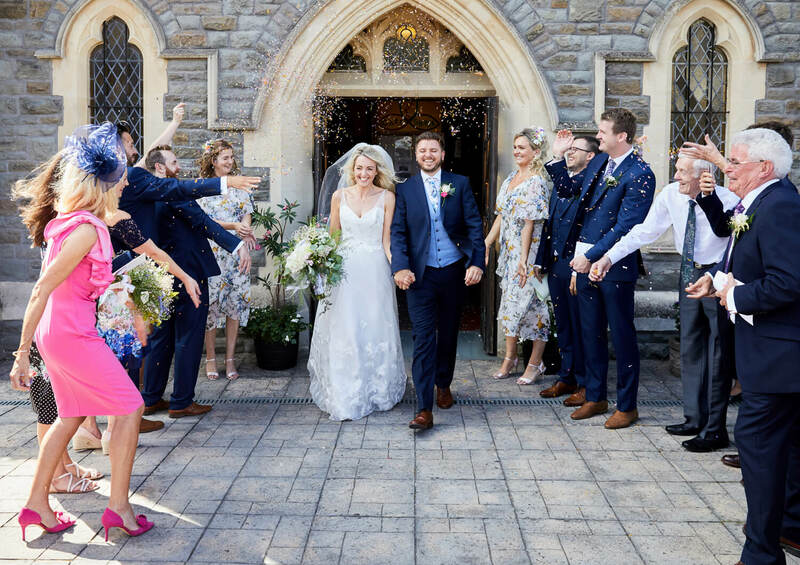 After a fun packed morning I headed to the church ahead of the bride to capture the guests arriving (not forgetting the groom of course). 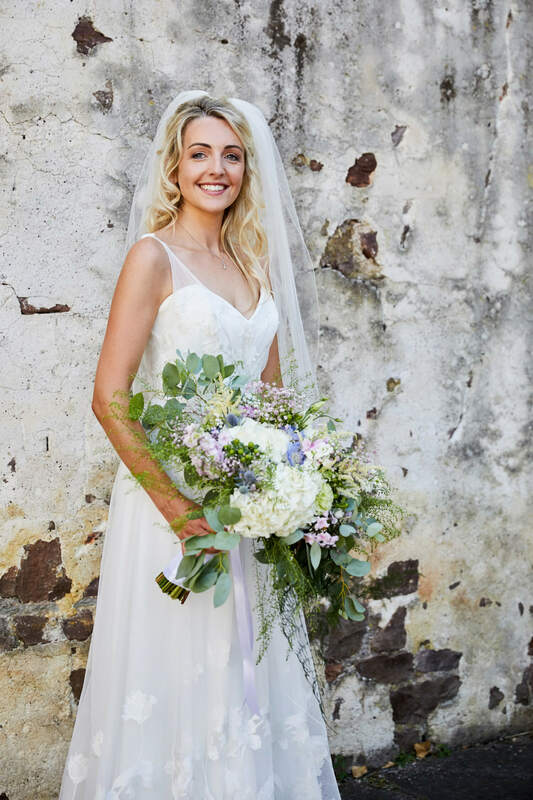 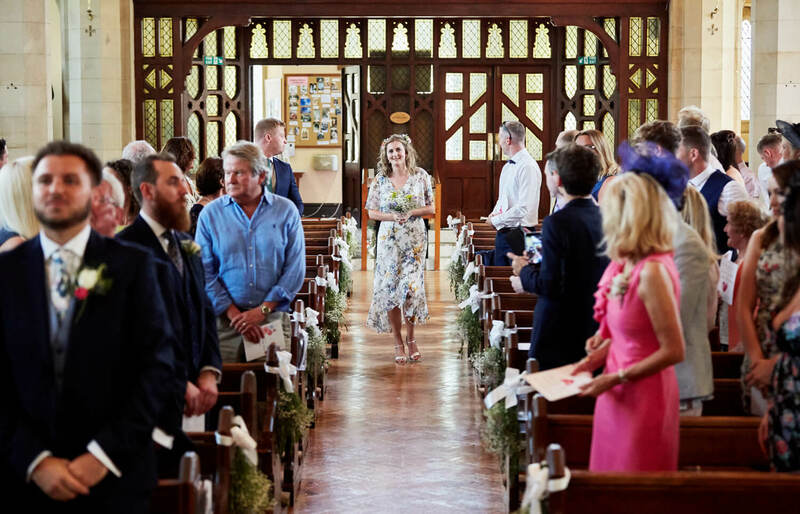 Emma didn’t leave Luke waiting at the end of the aisle for long and when she arrived she looked incredible. 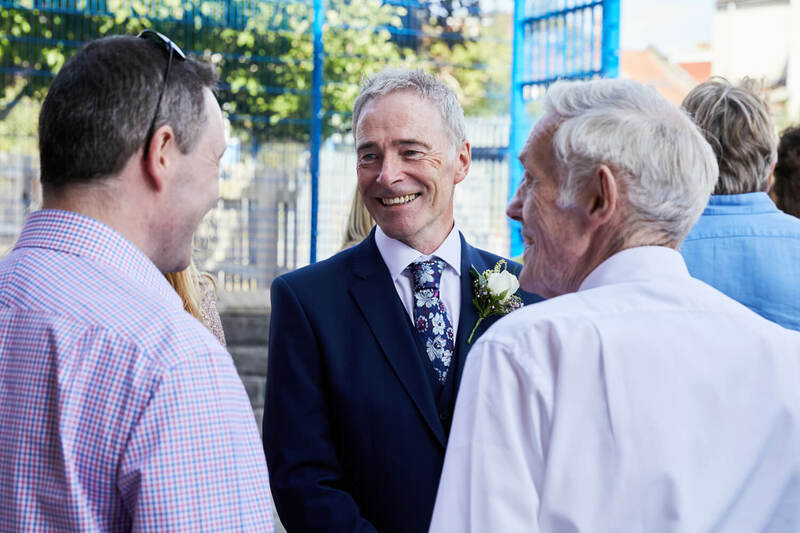 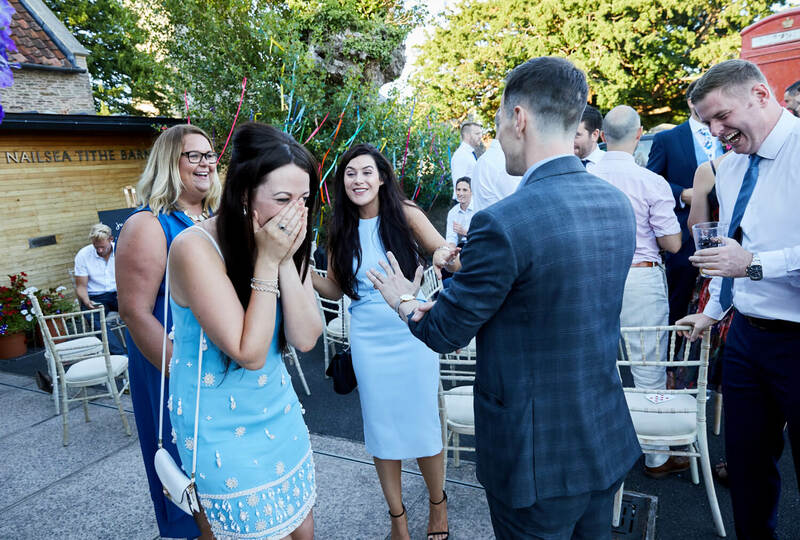 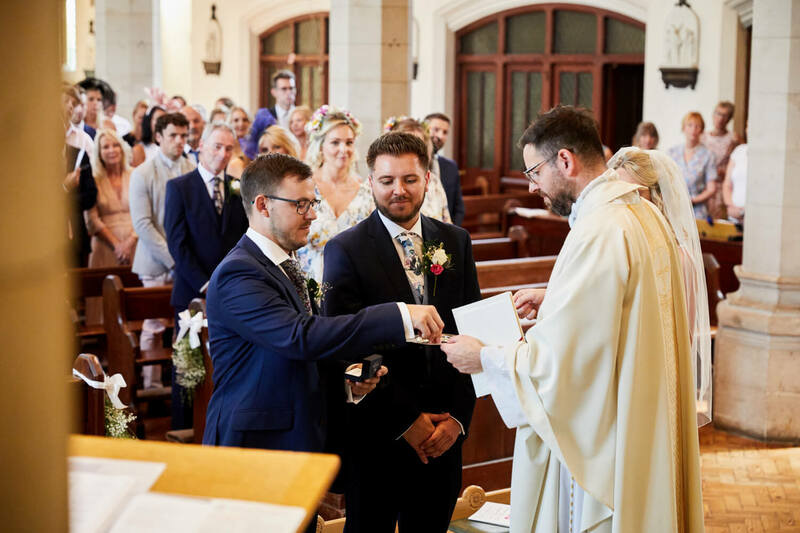 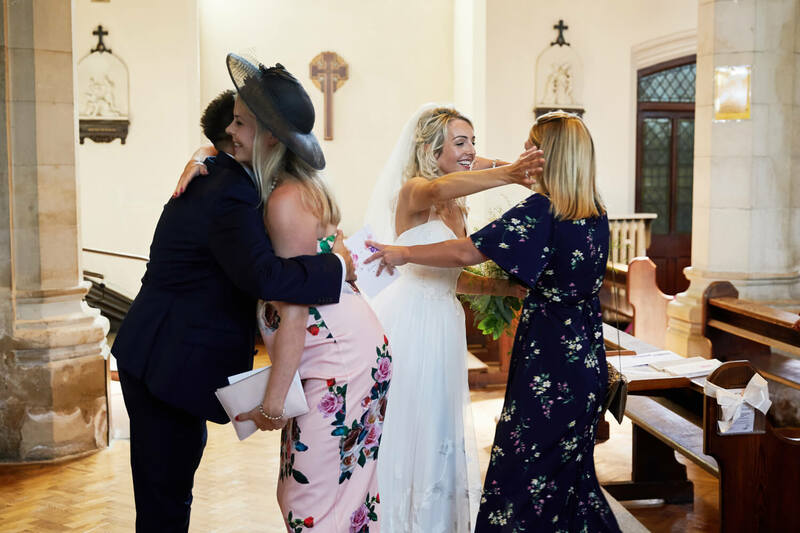 Emotional guests eagerly watched as the happy couple tied the knot. 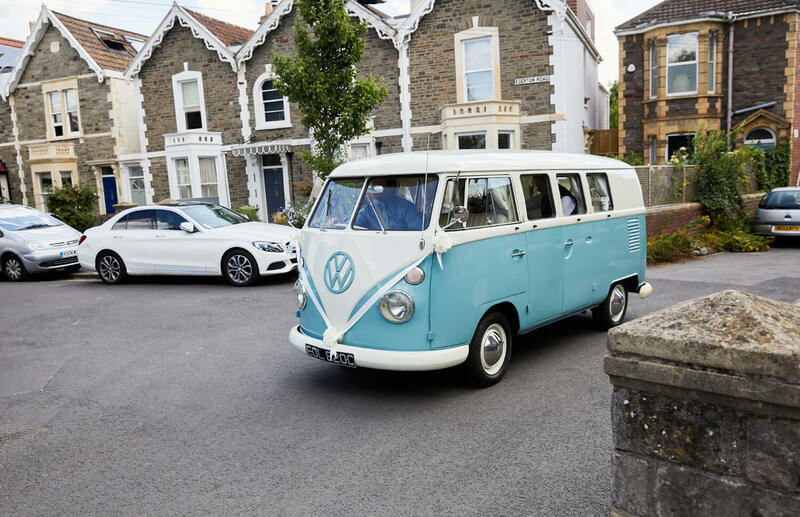 On the way to the reception venue we decided to stop en route, at Ashton Court Estate. 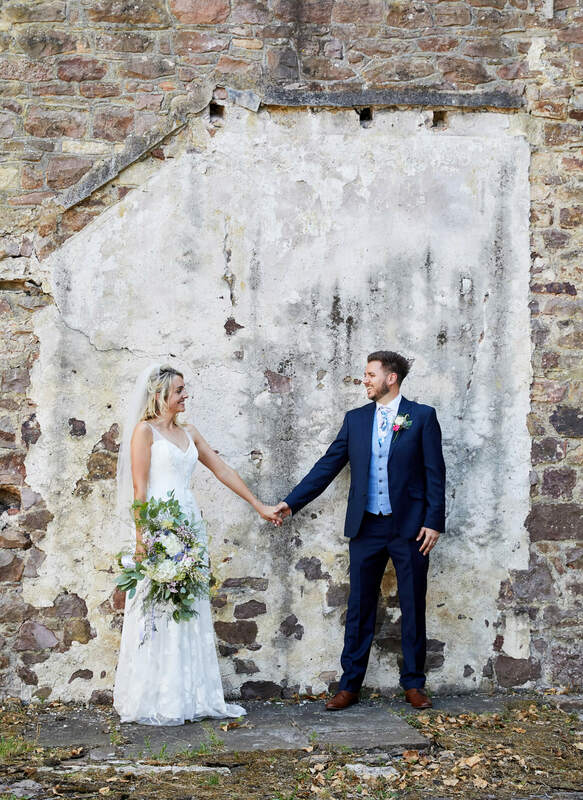 It wasn’t too far to venture and offers lots of great spots for photos. 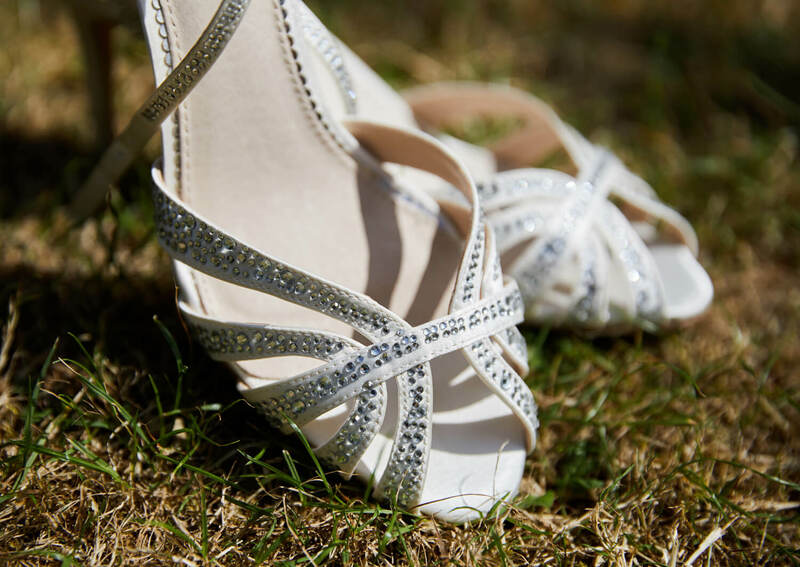 The super hot weather leading up to their day left the ground scorched and like we were in a hot foreign country. 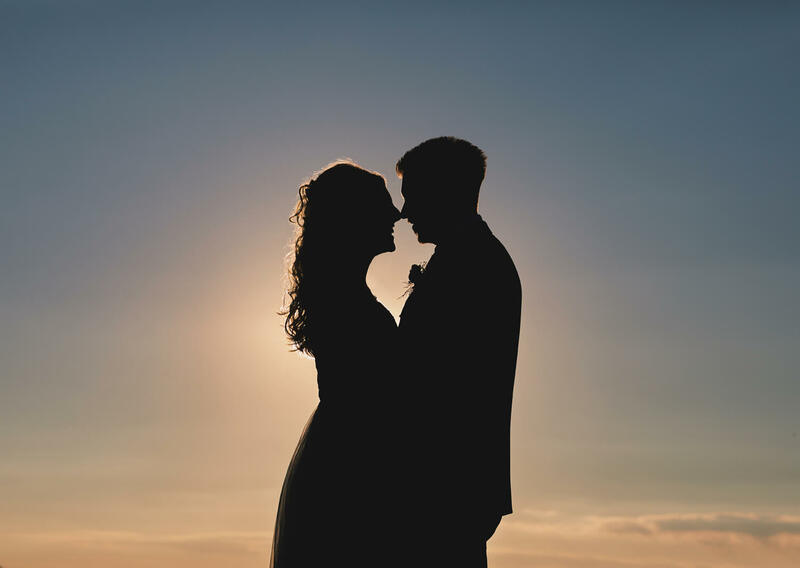 As sunset was approaching the newlyweds and I headed out for a few more couple shots. 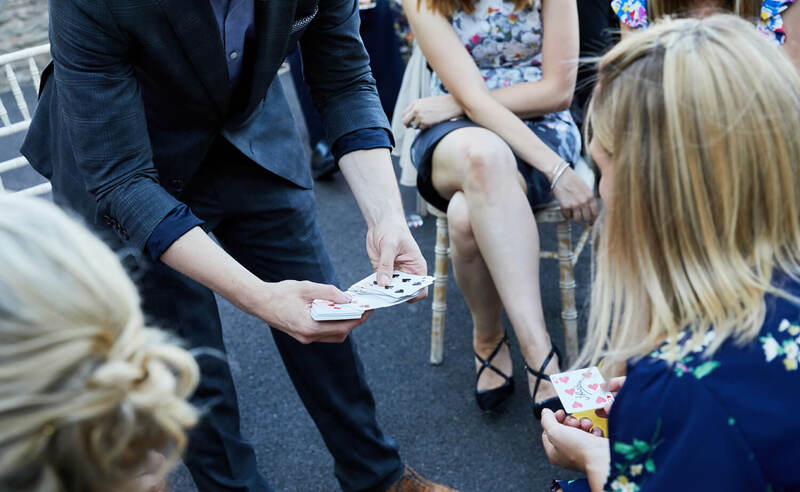 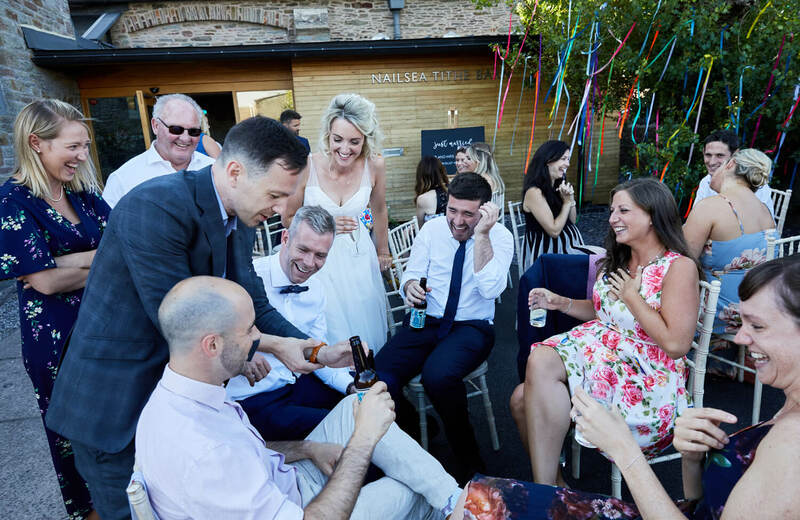 The venue doesn’t have beautifully manicured gardens or a stunning lake so we had to get creative. 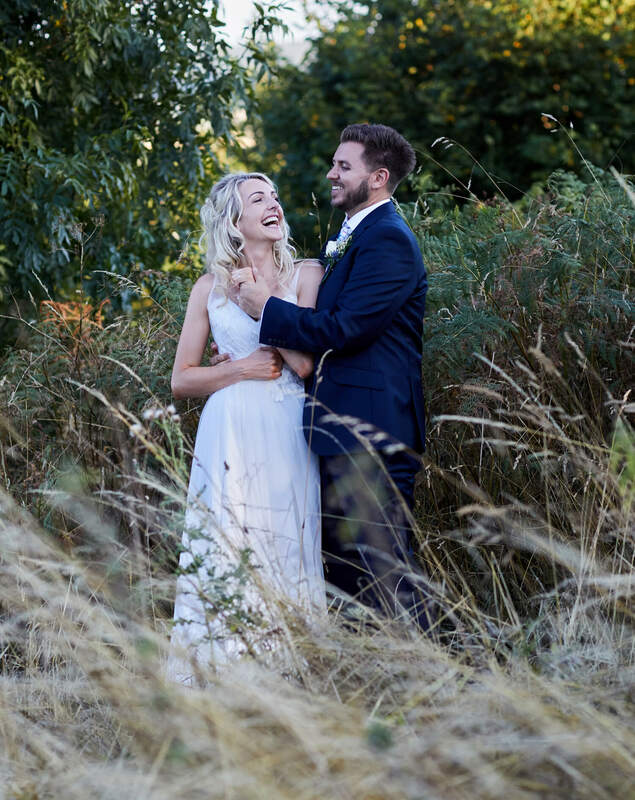 Prior to the wedding I investigated and found a perfect field and path (which was a short walk) to use as a backdrop at sunset. 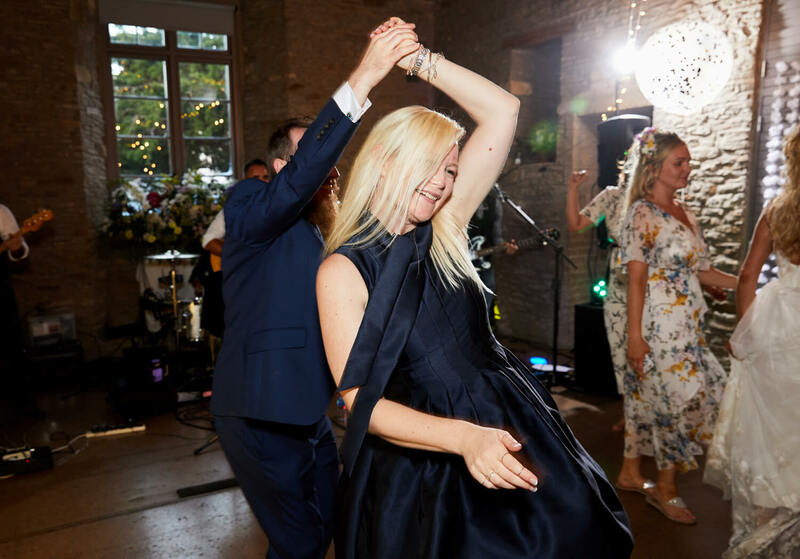 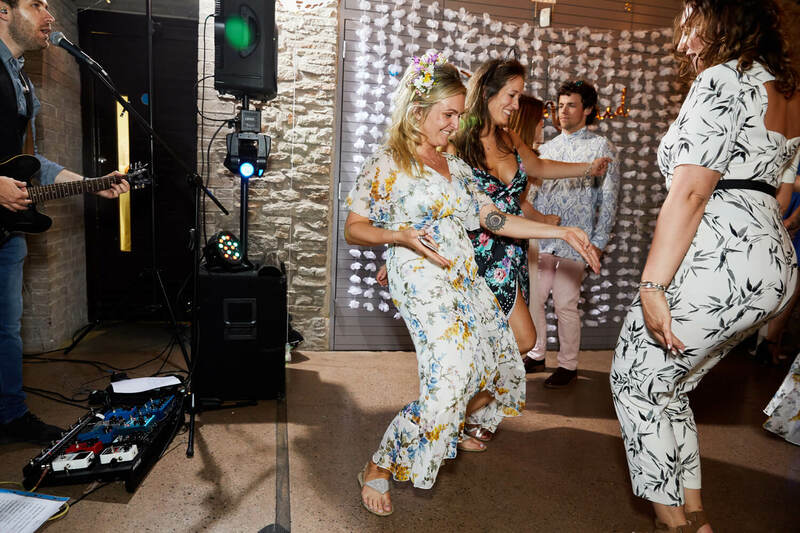 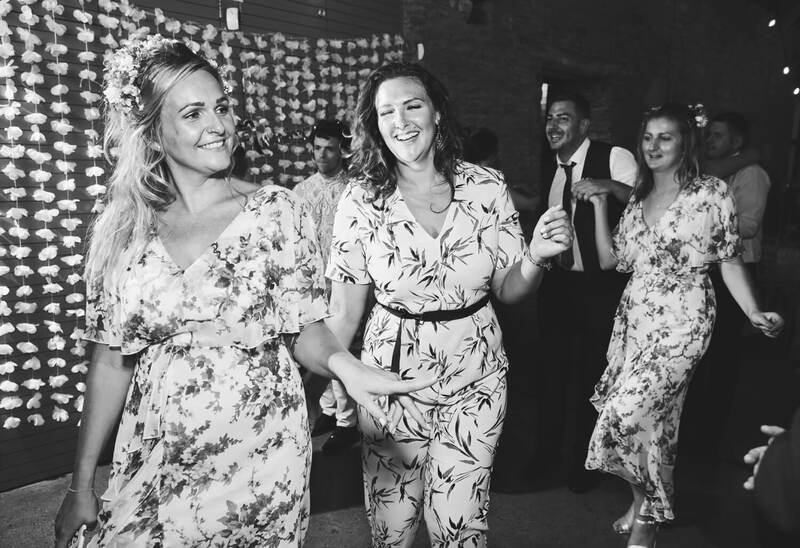 The evening shenanigans kicked off with a fun first dance followed by lots of eager guests wanting to hit the dance floor strutting their stuff. 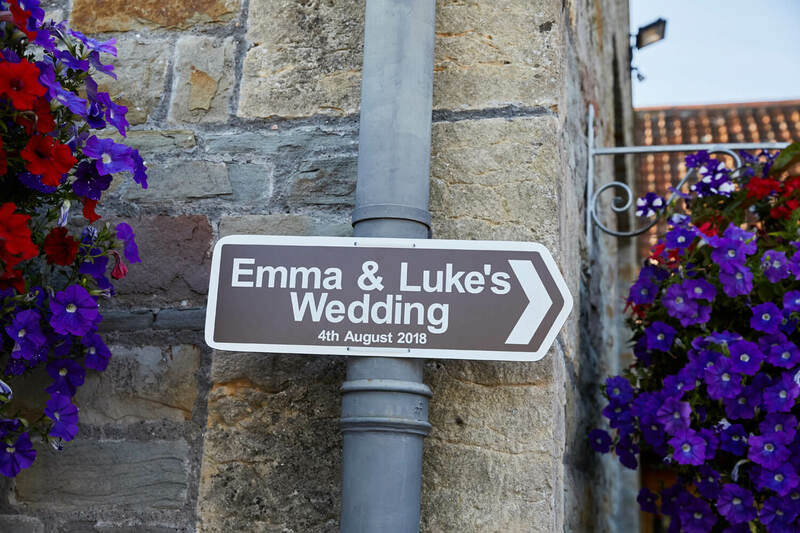 I’d like to say a massive congratulations to the lovely Emma & Luke. 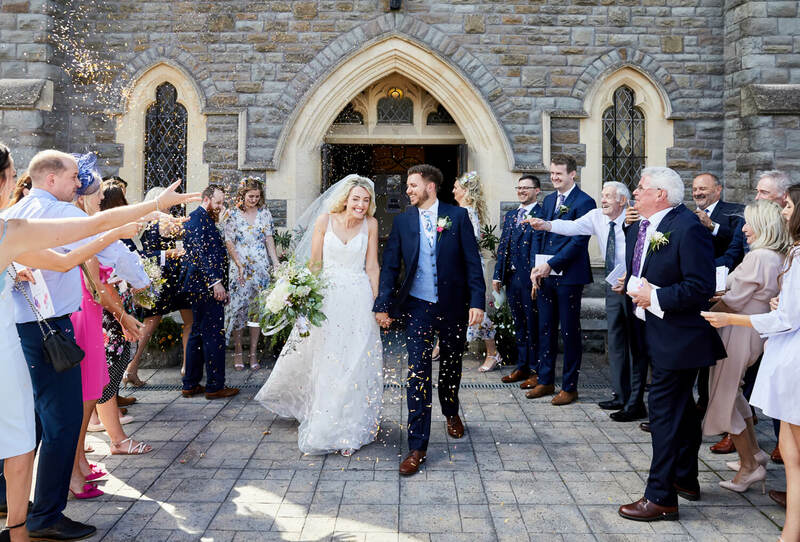 They were so welcoming and easy to work with. 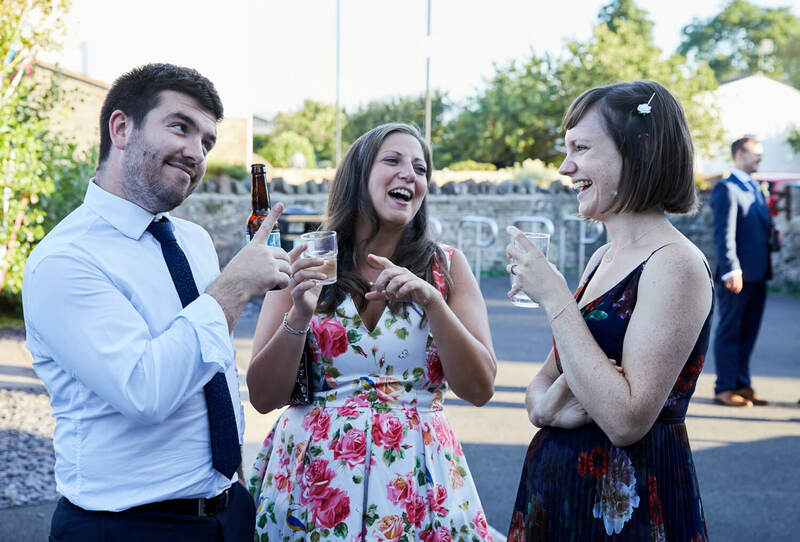 I felt like I’d known them for years. 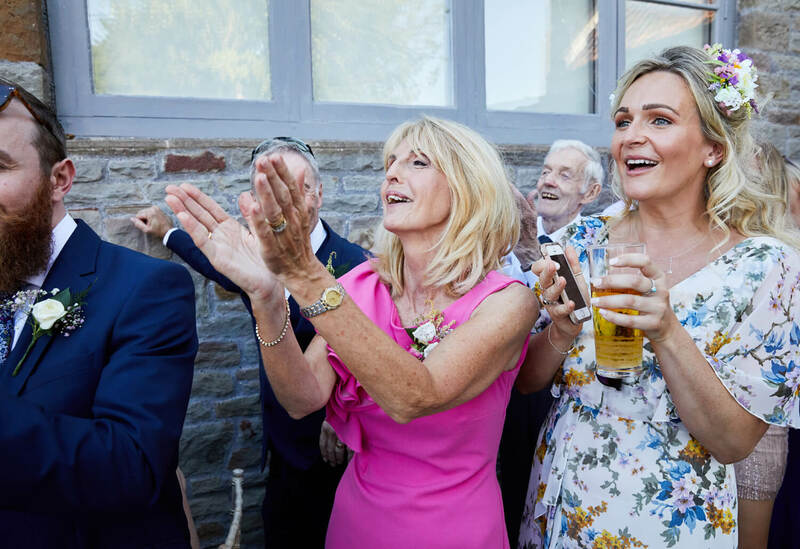 If you are looking for Nailsea Tithe Barn wedding photography, please email info@simonwithyman.com or call 07900 932139 for more info. 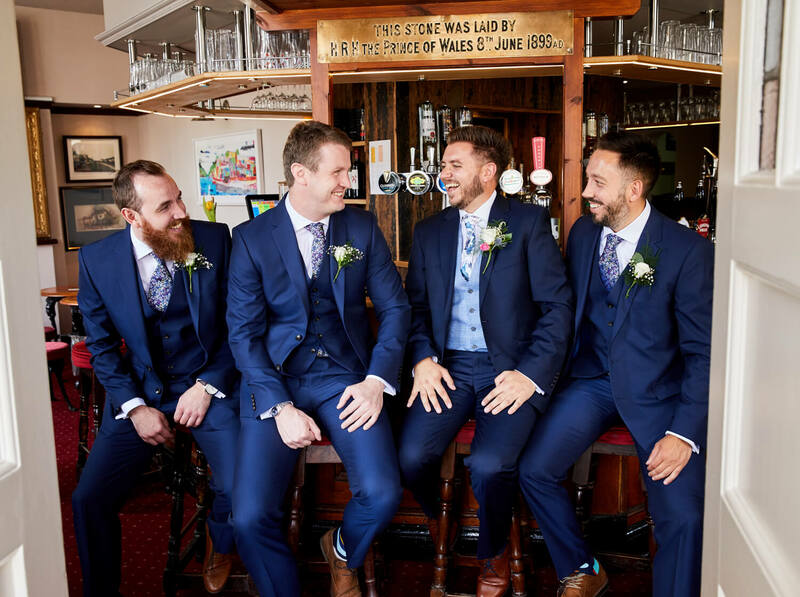 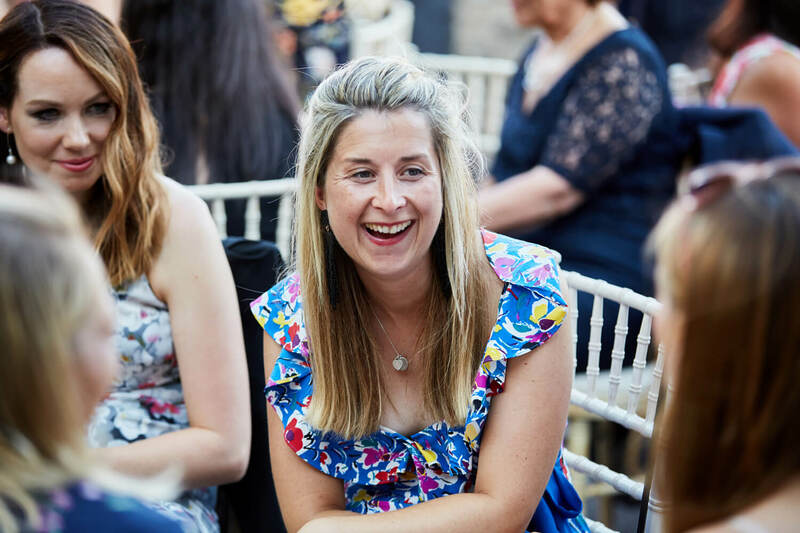 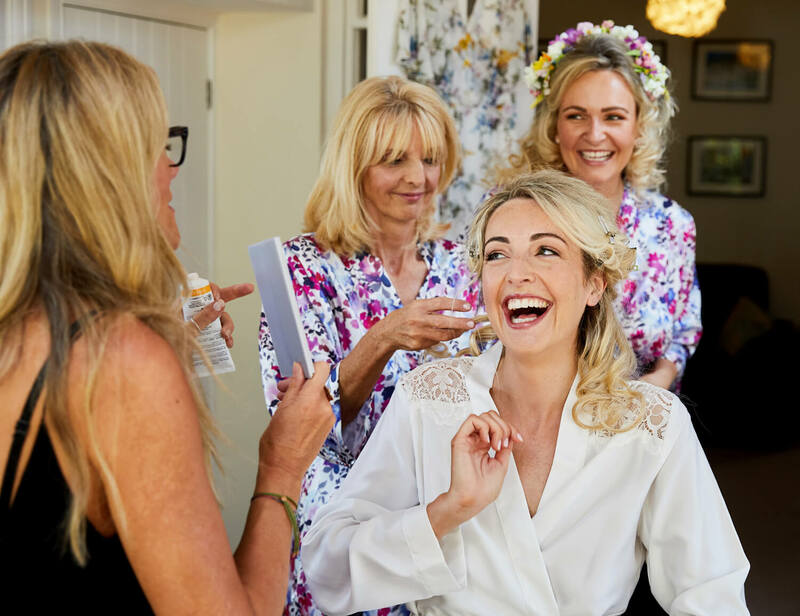 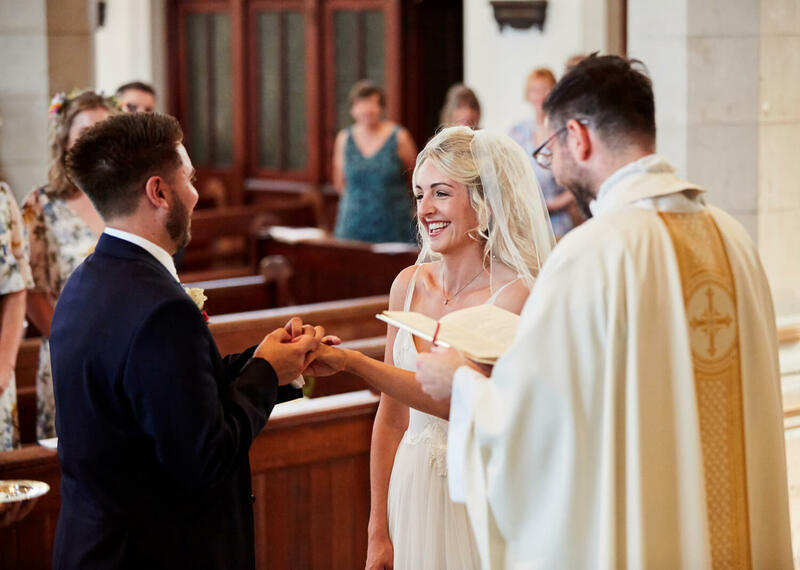 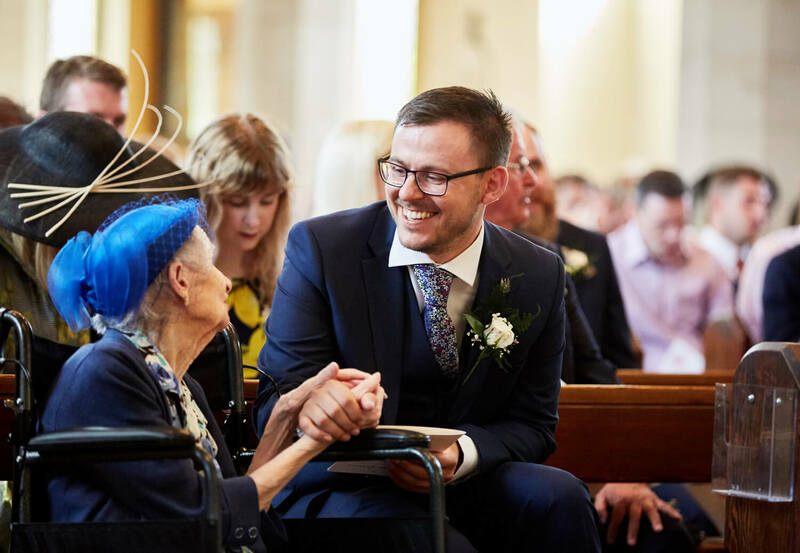 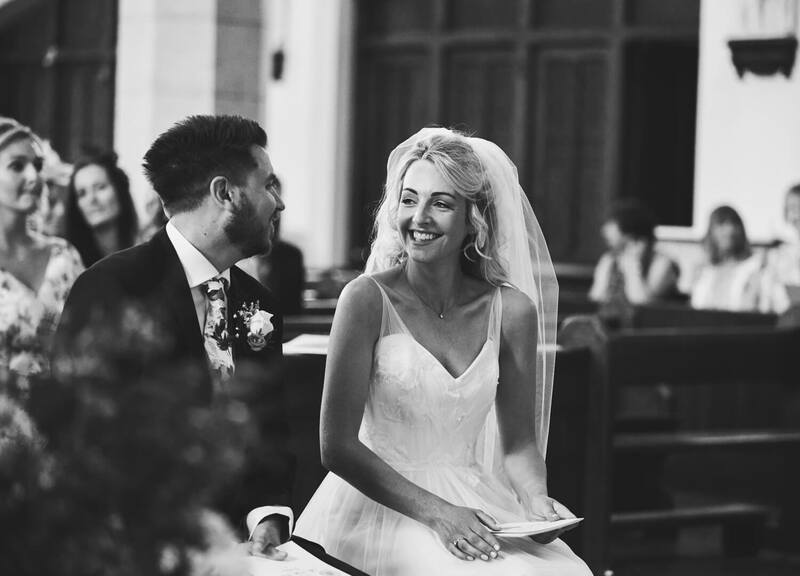 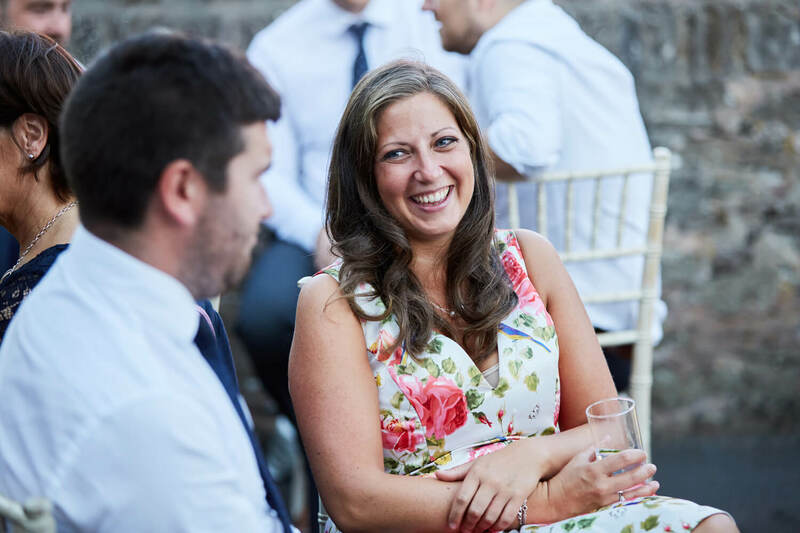 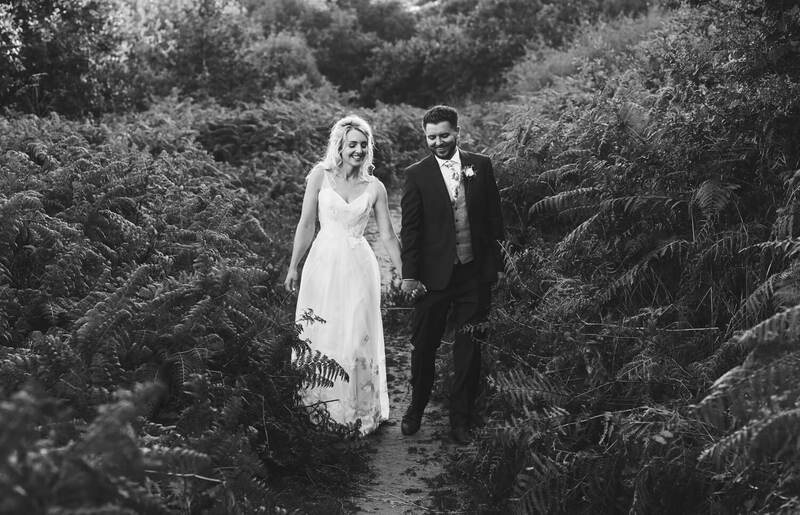 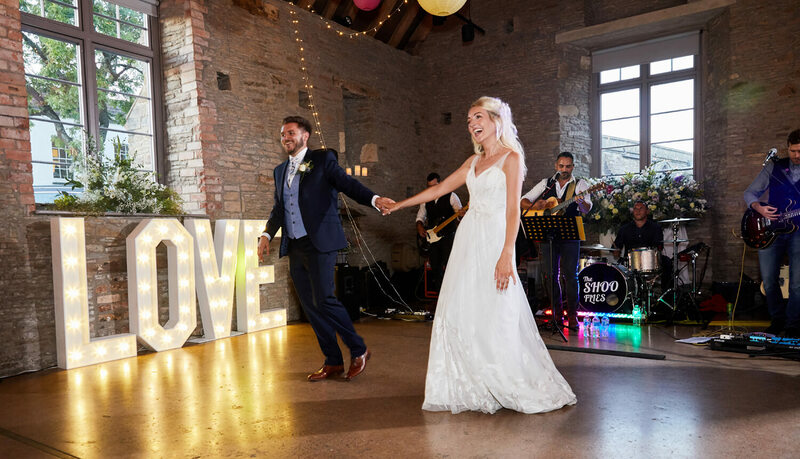 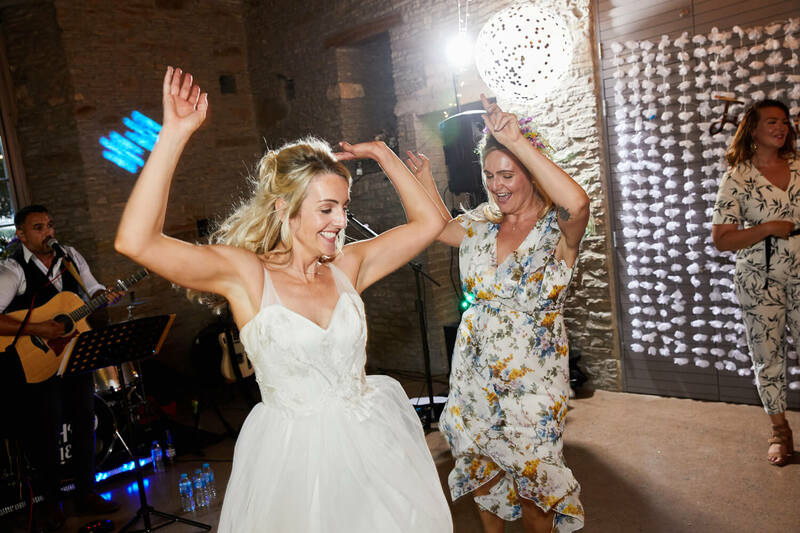 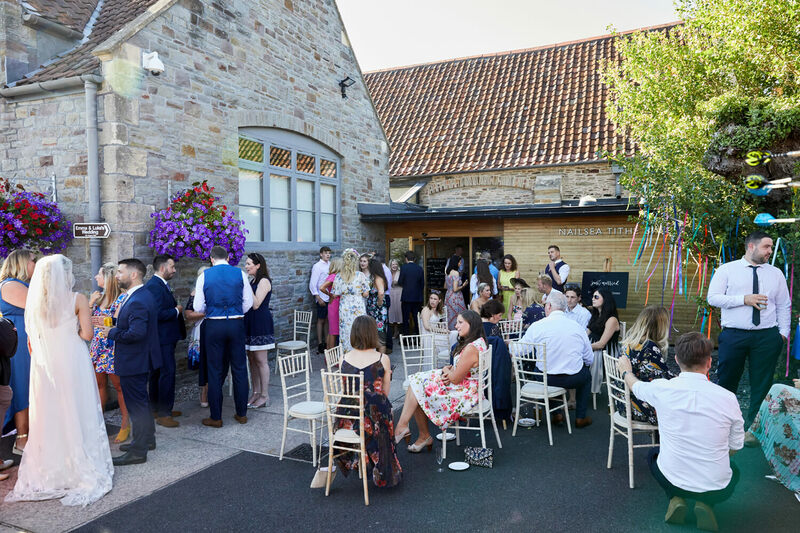 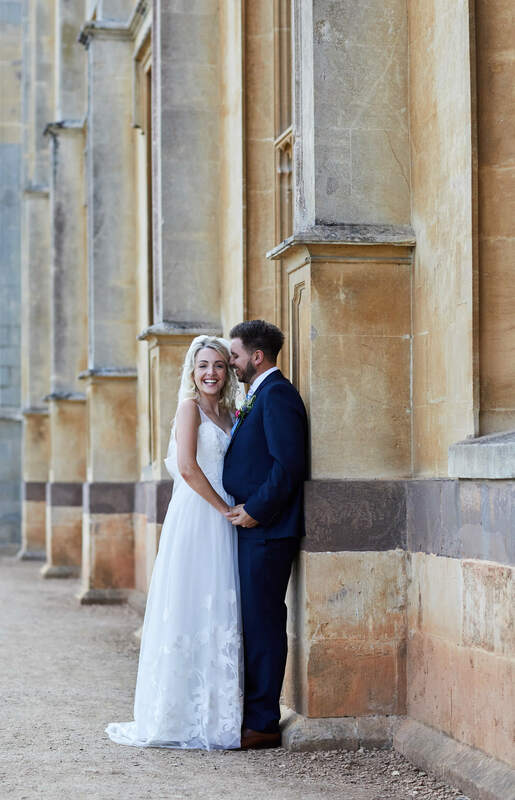 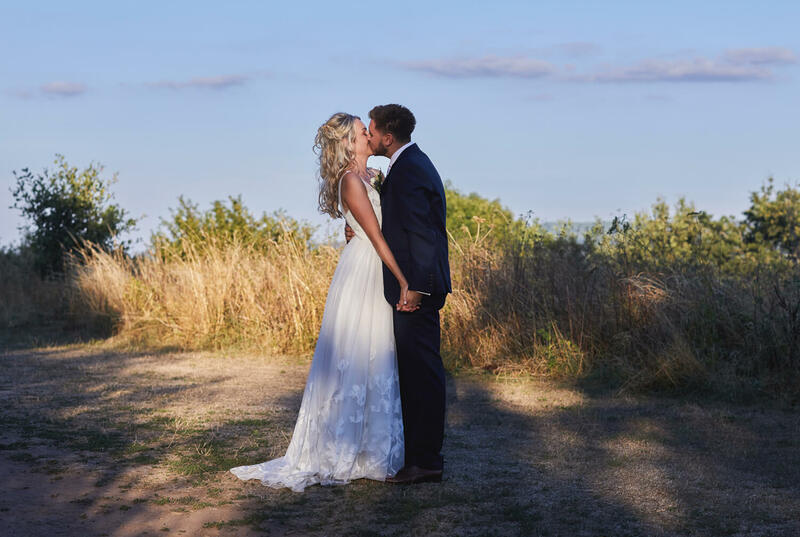 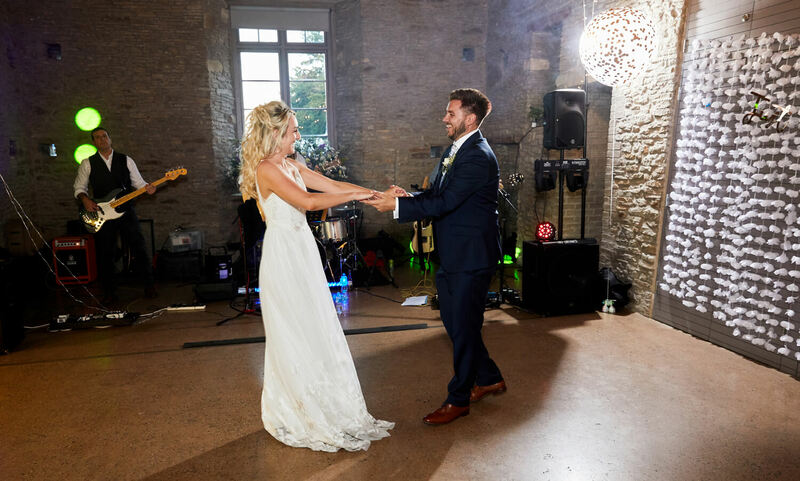 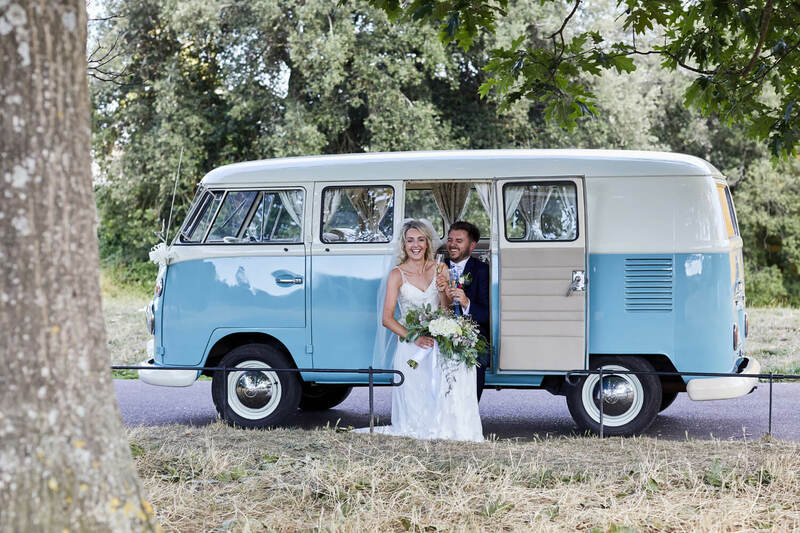 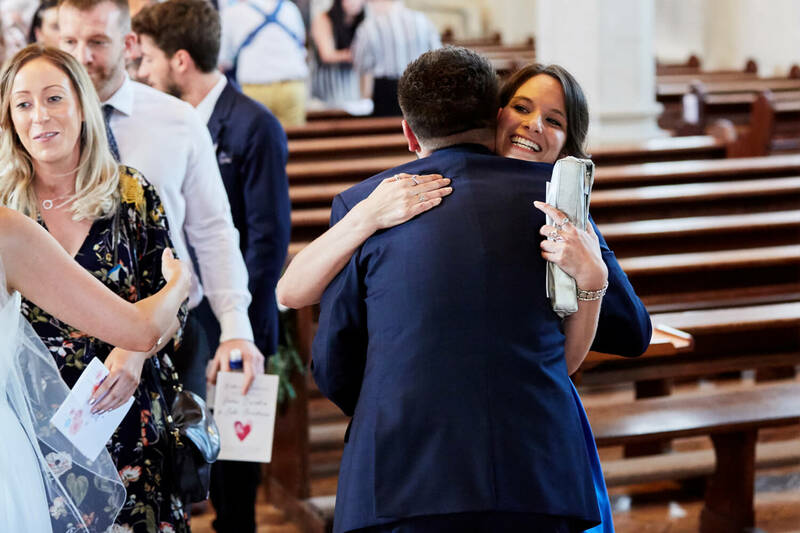 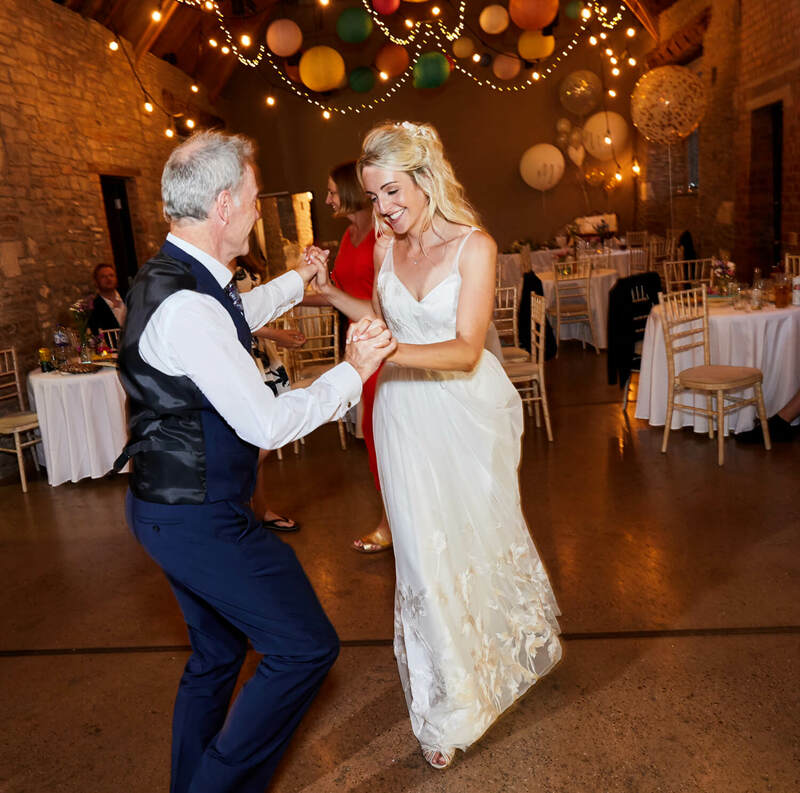 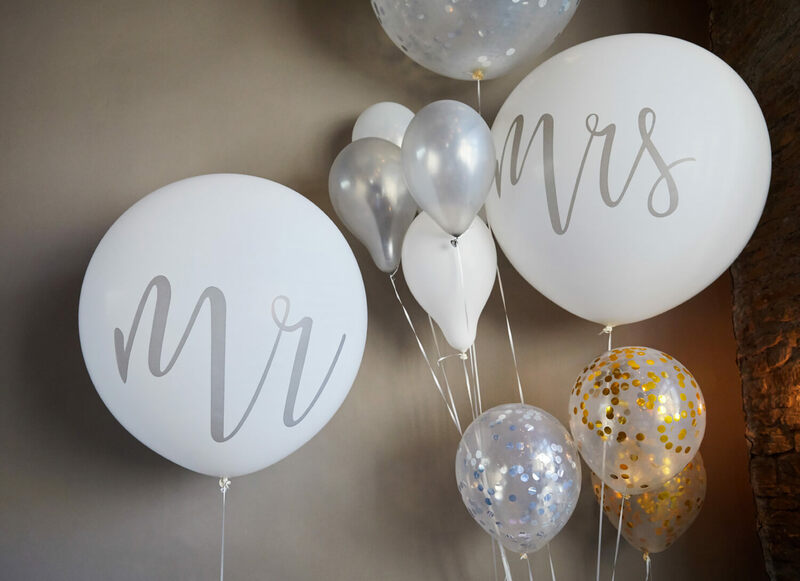 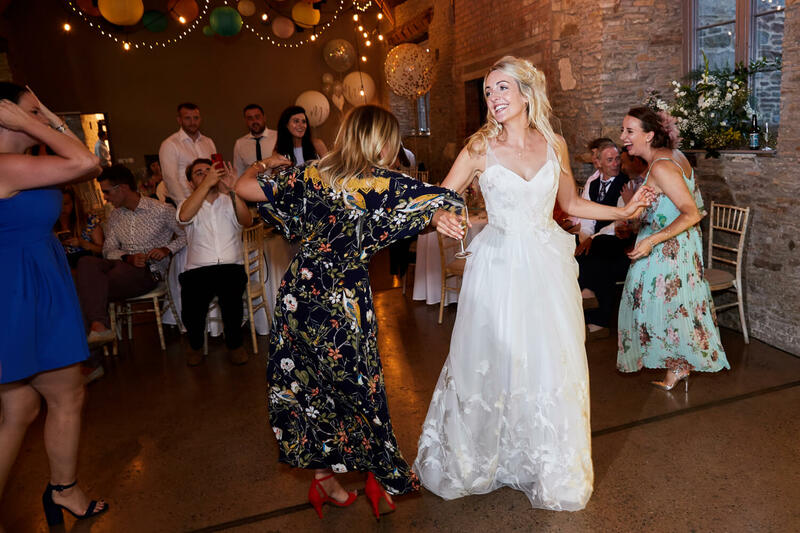 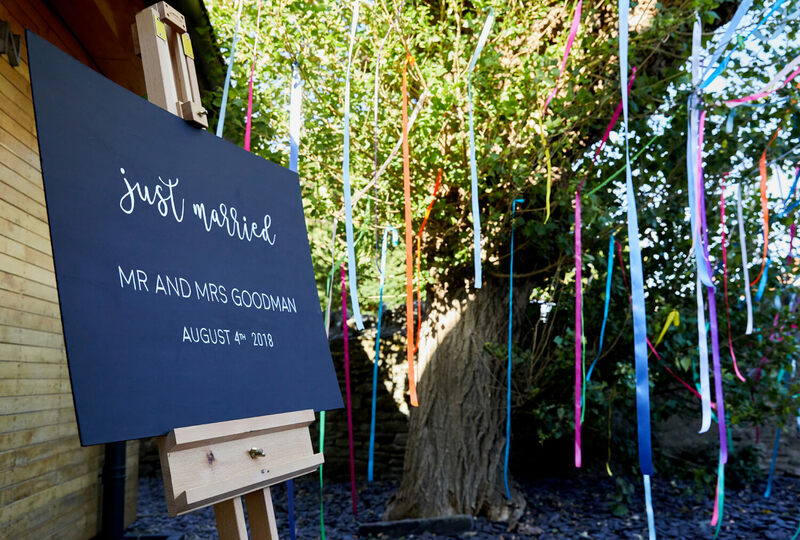 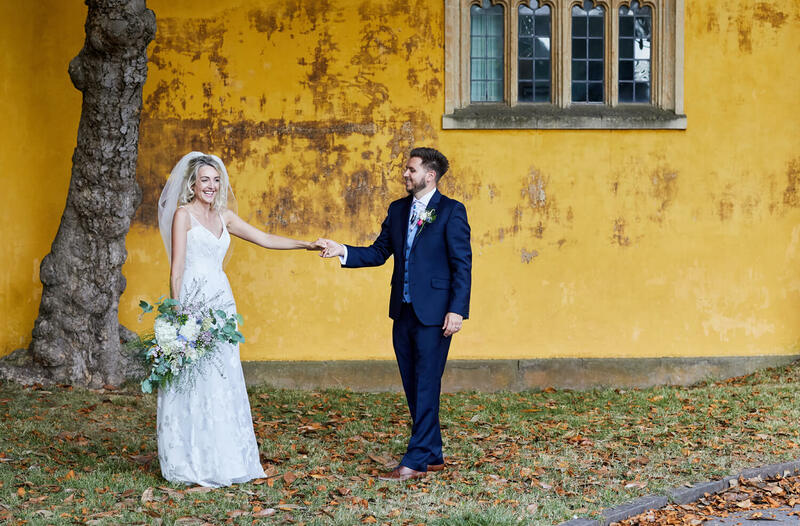 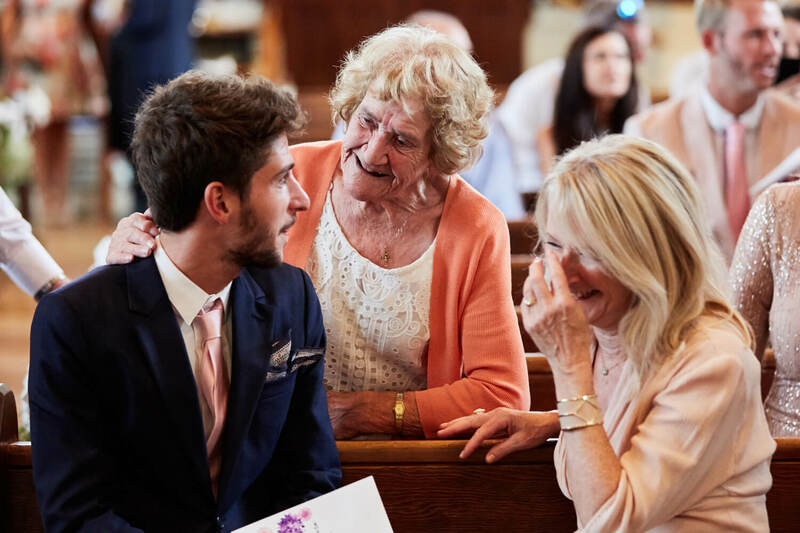 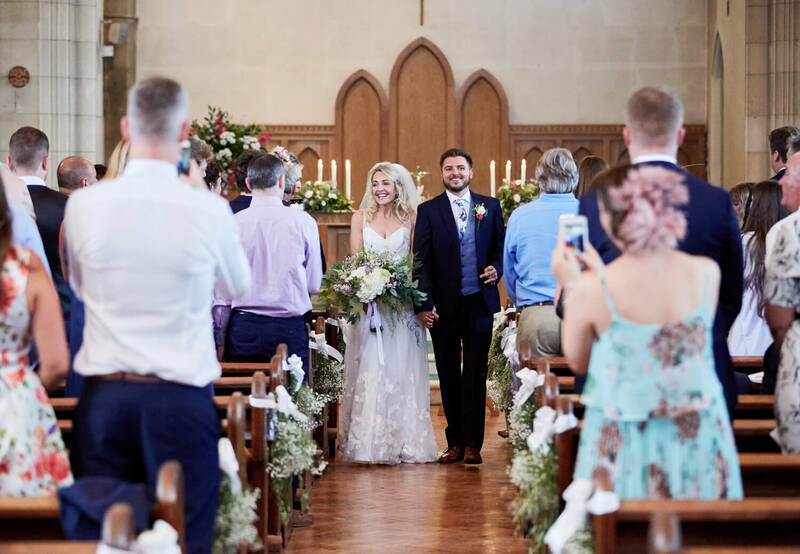 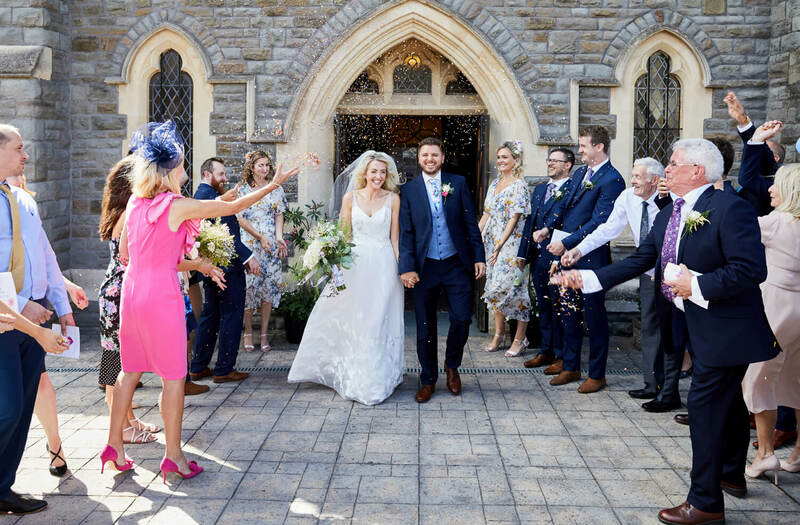 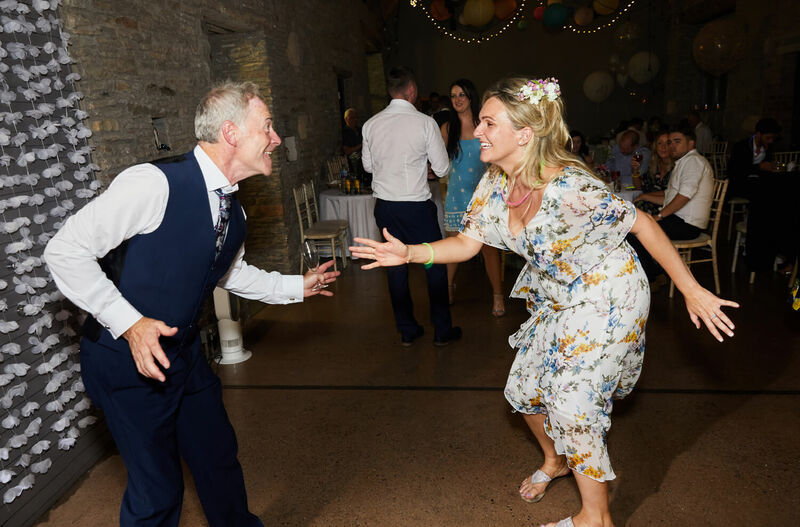 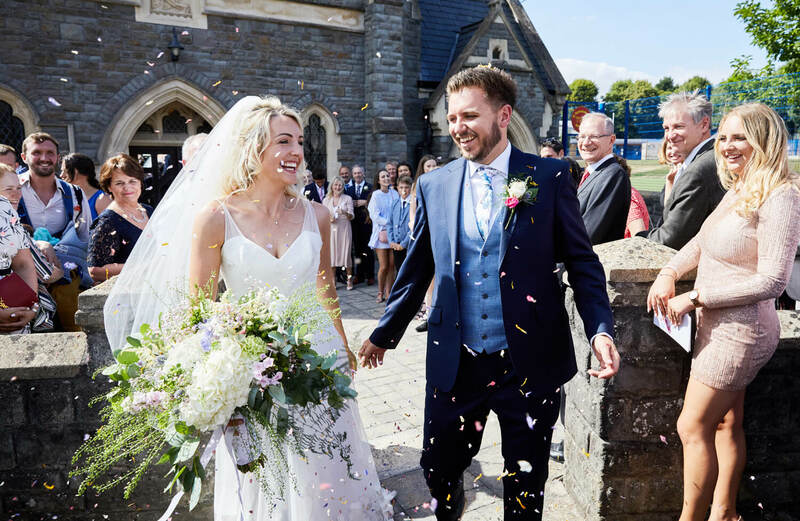 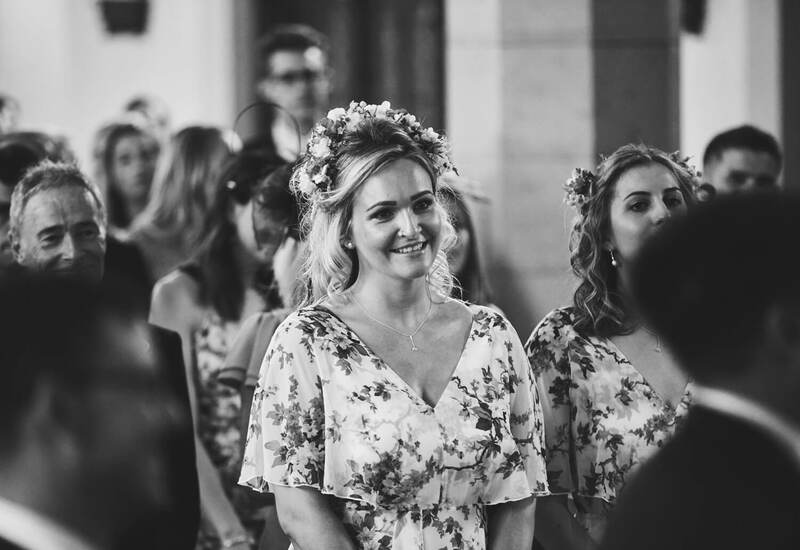 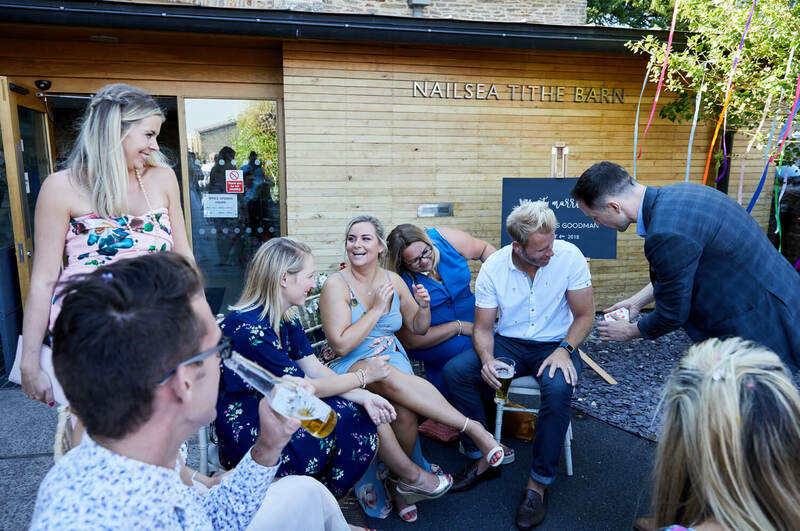 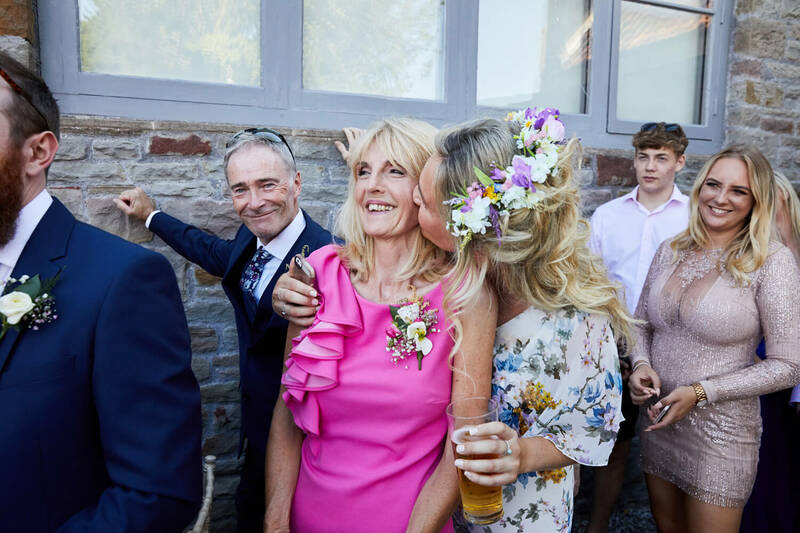 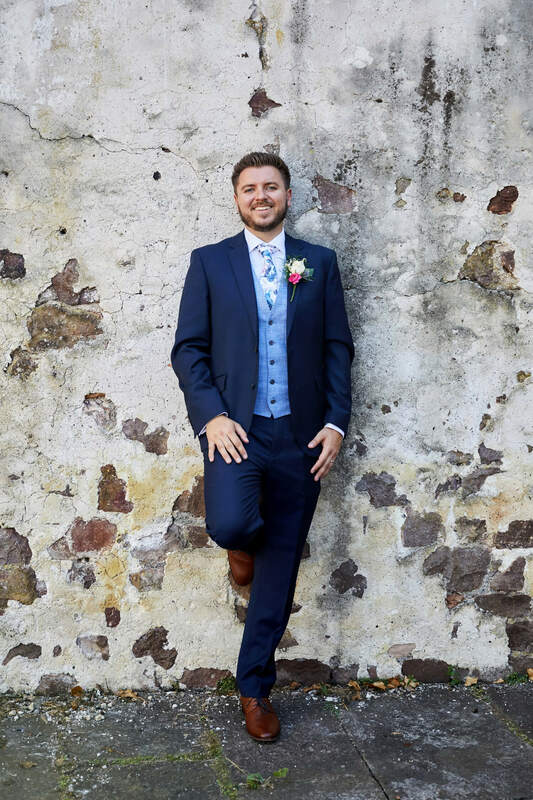 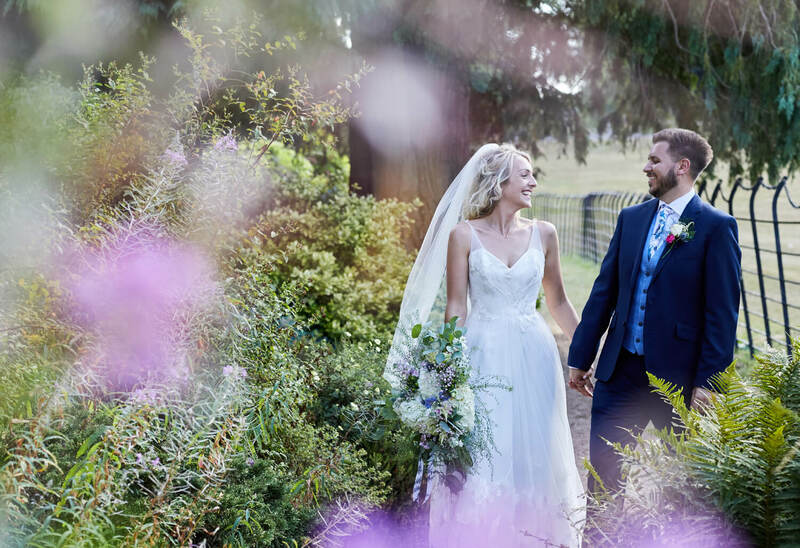 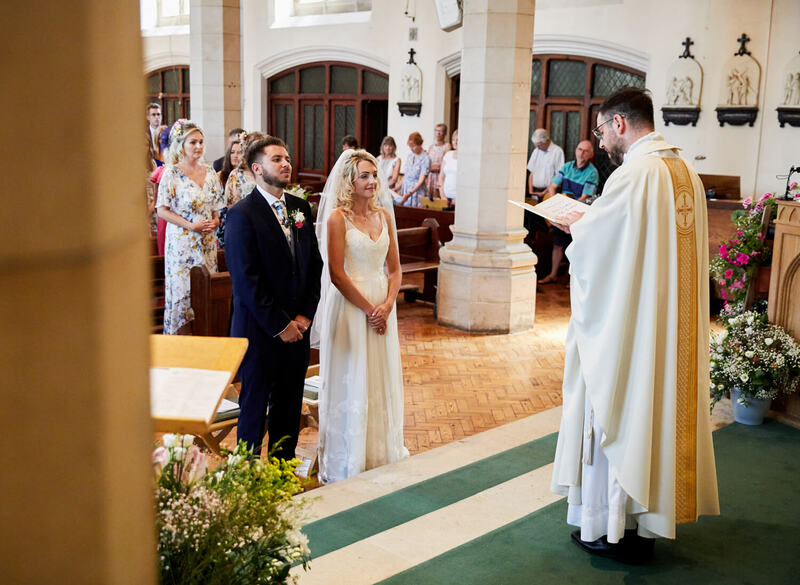 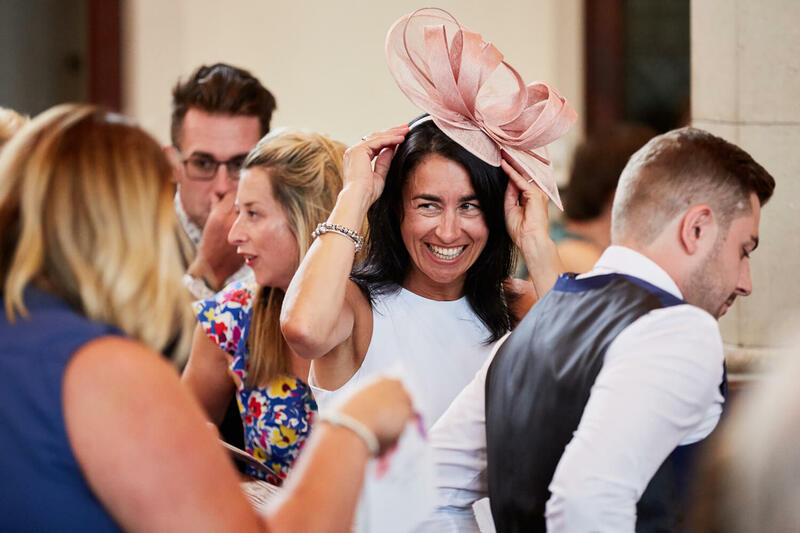 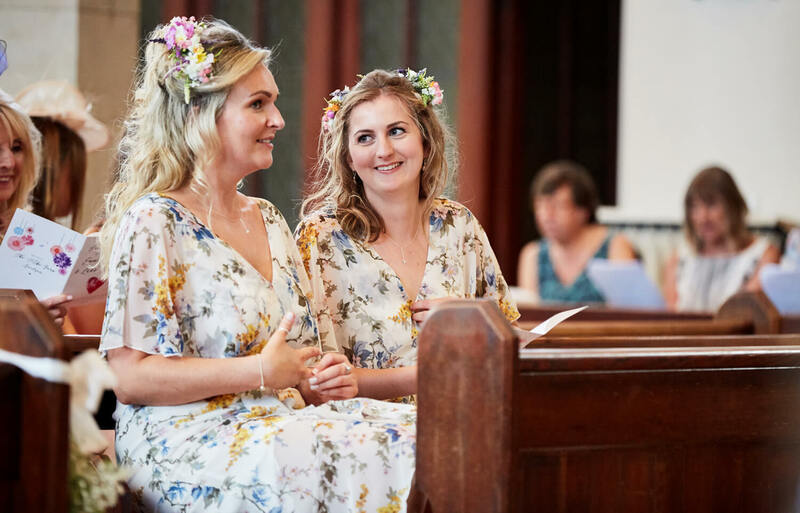 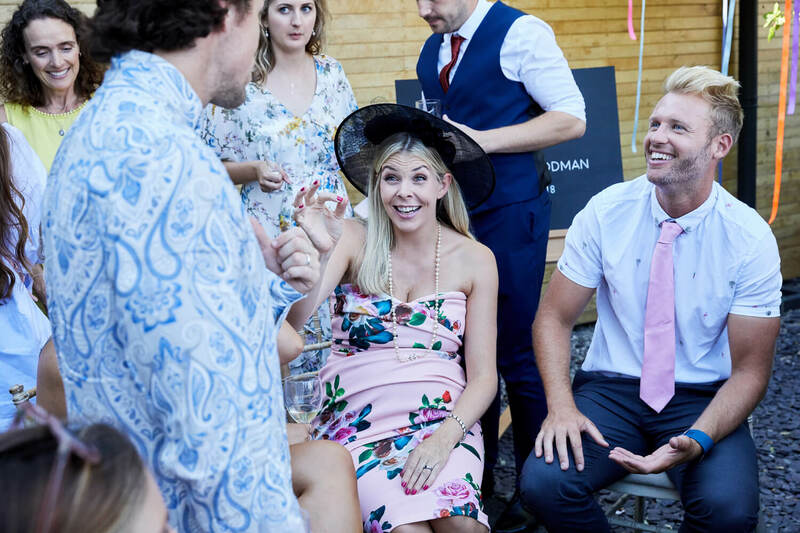 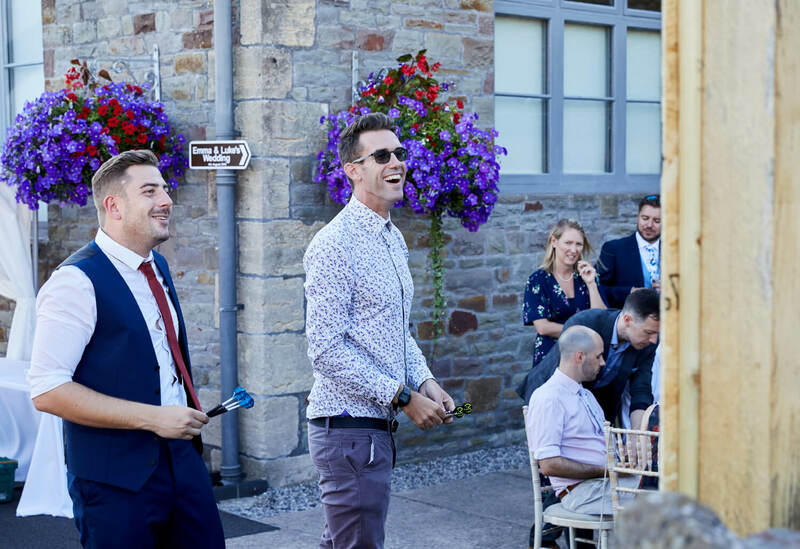 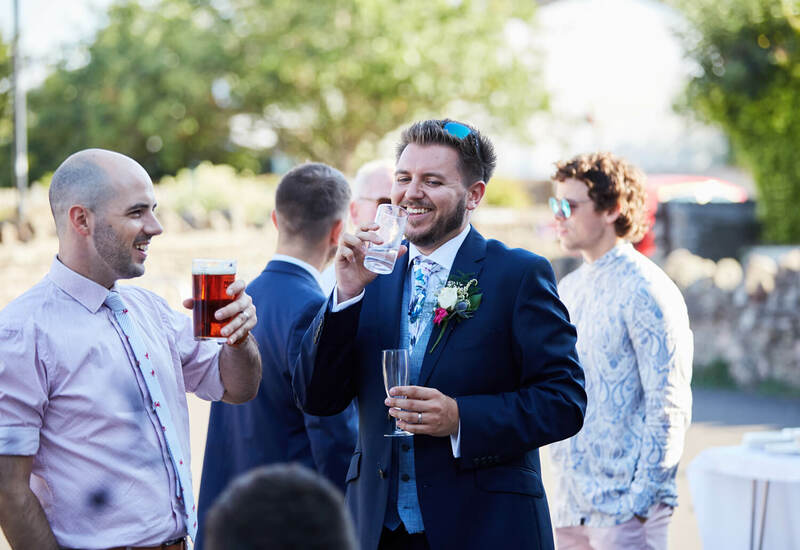 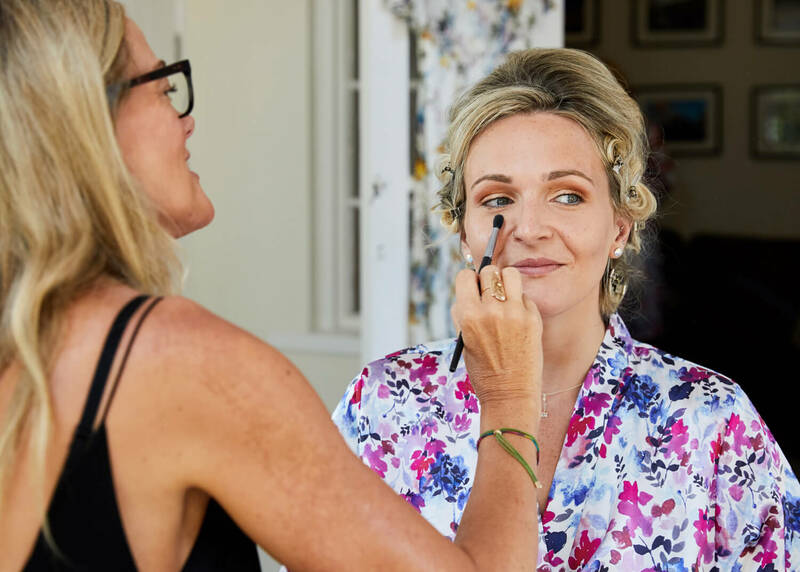 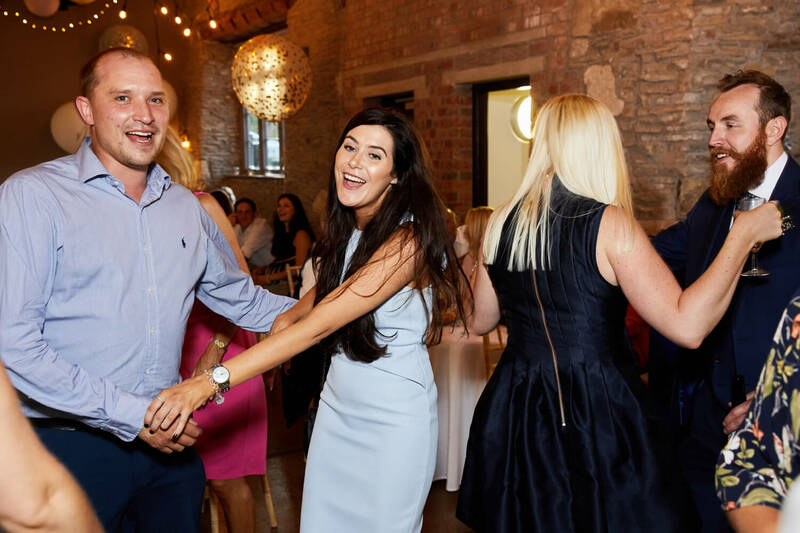 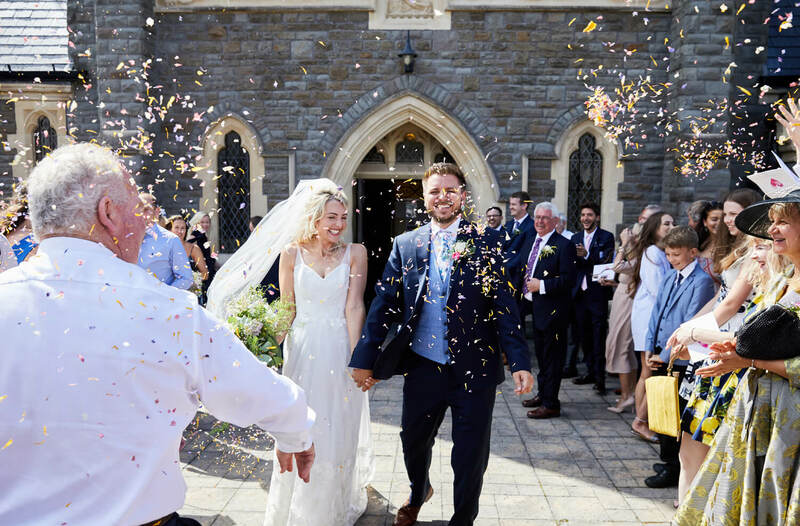 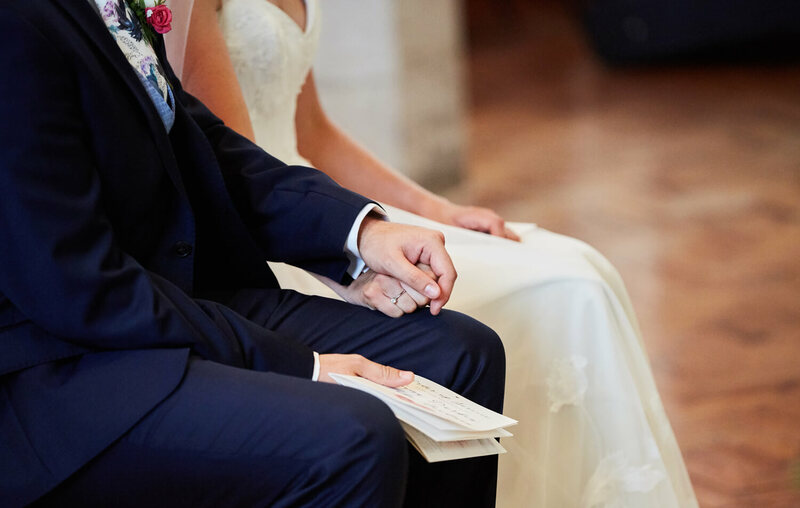 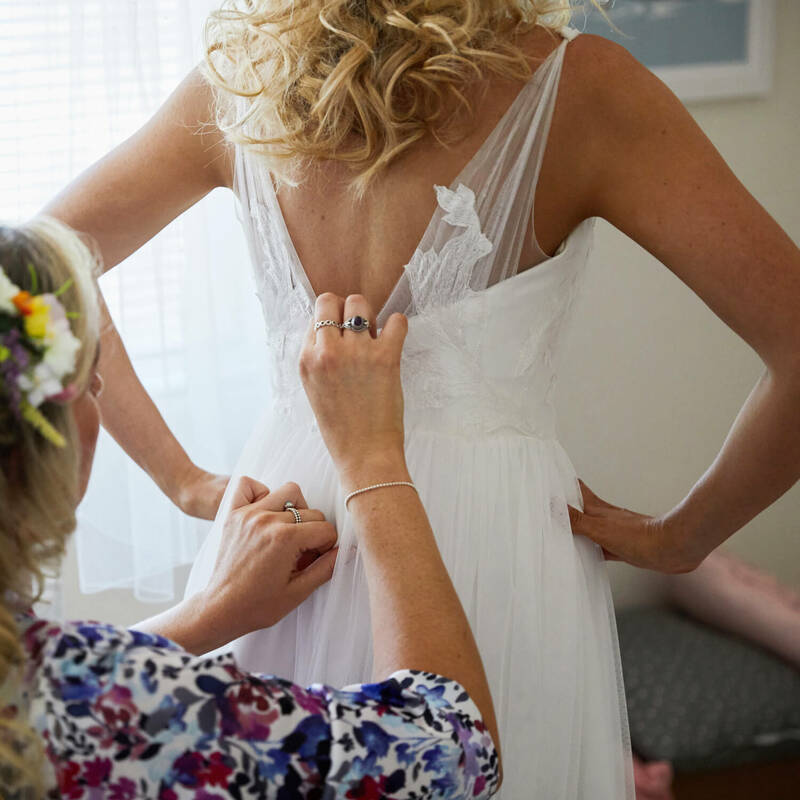 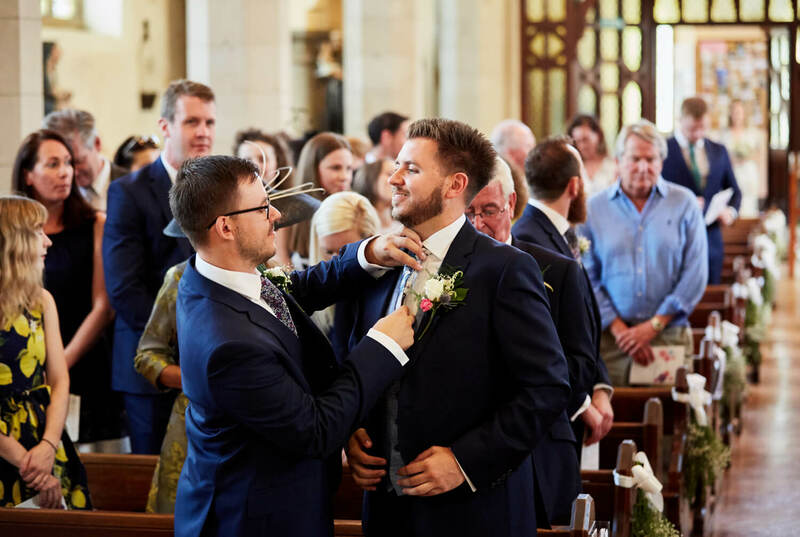 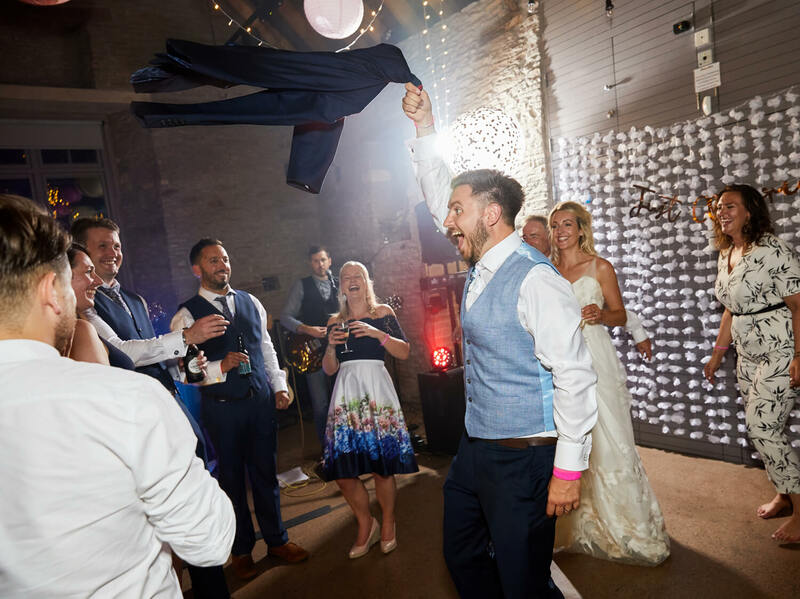 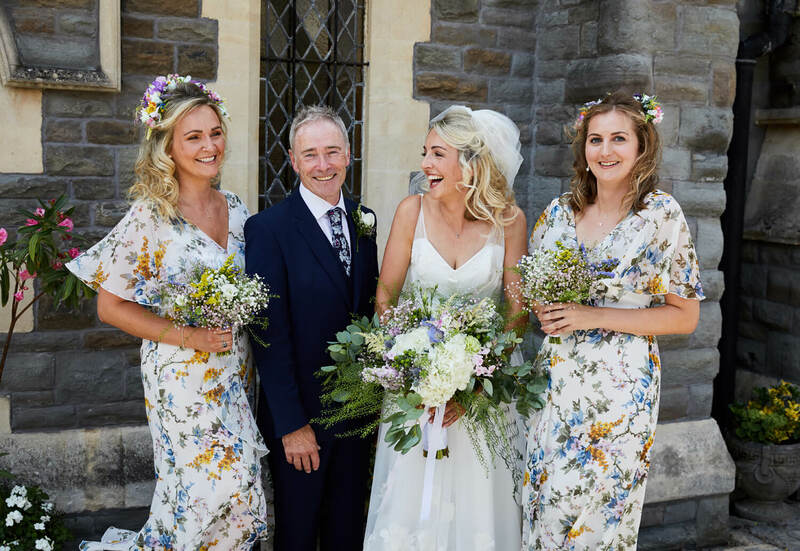 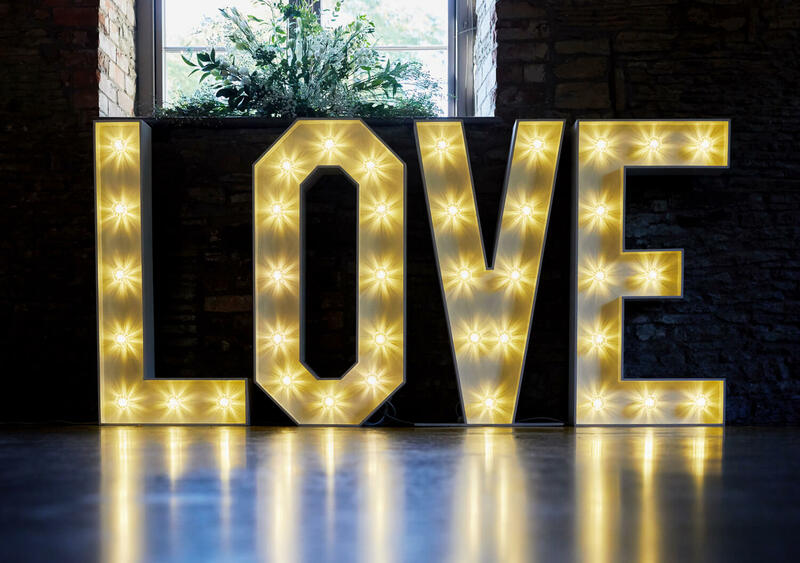 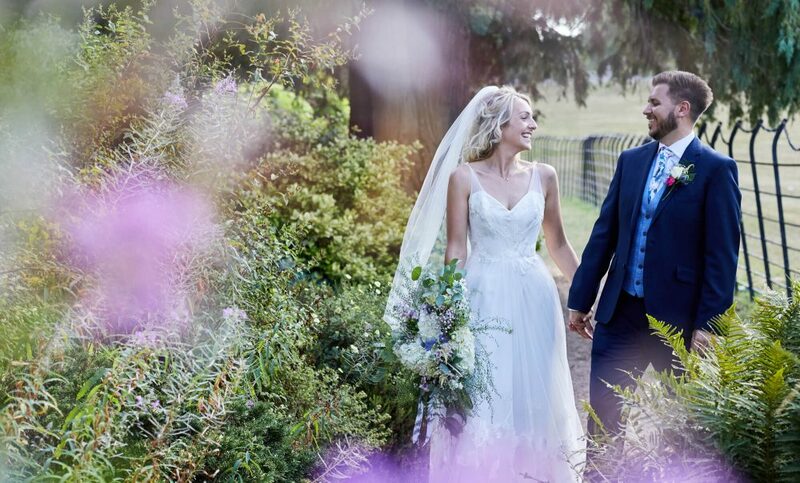 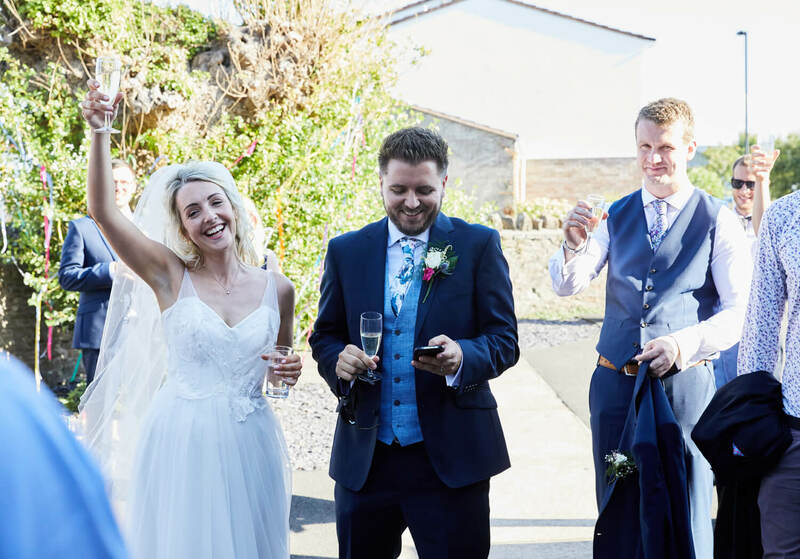 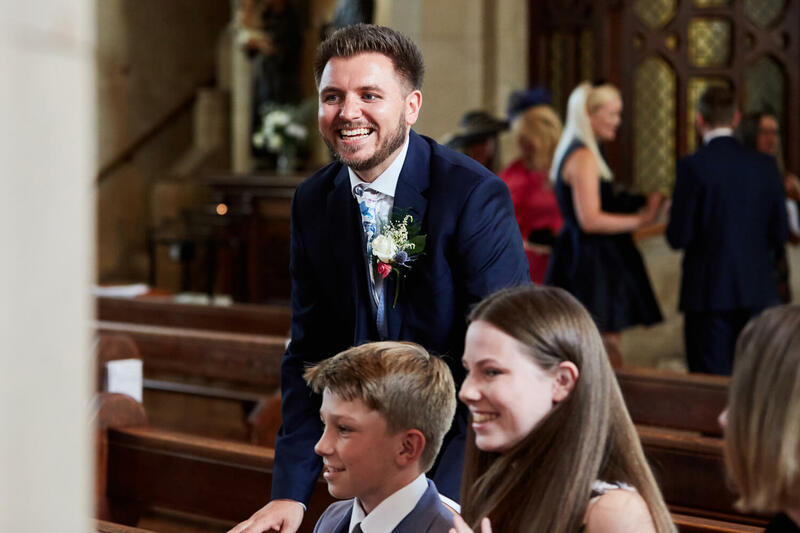 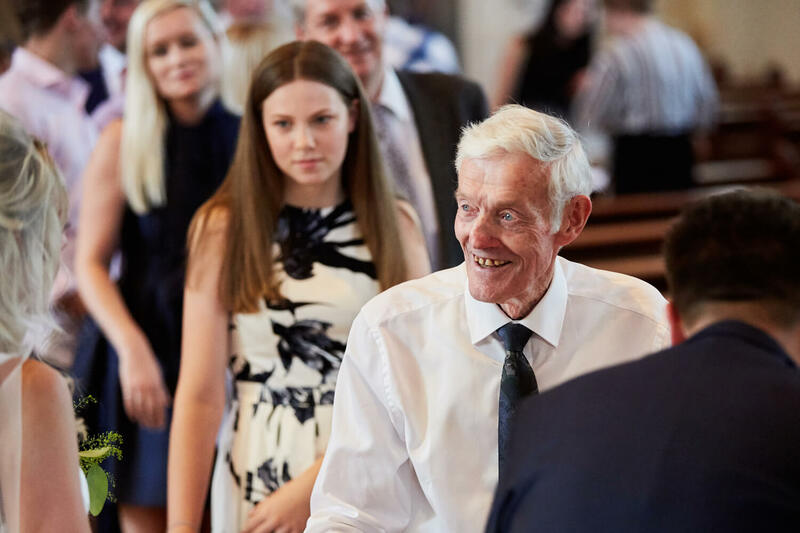 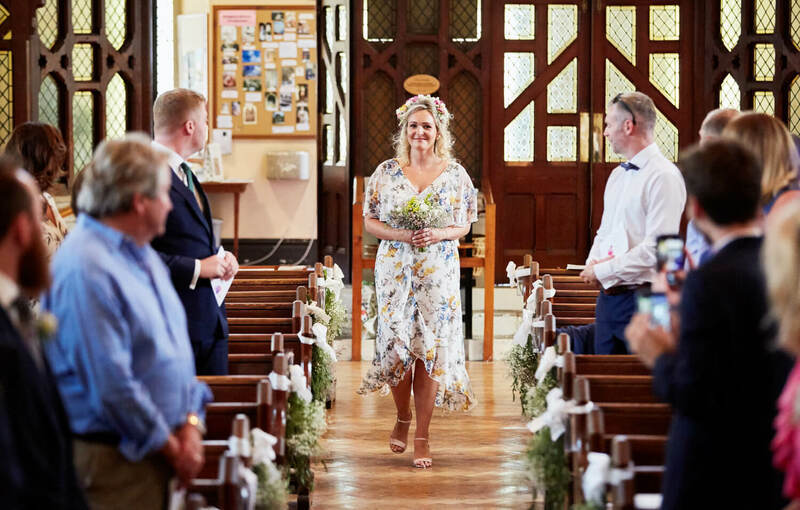 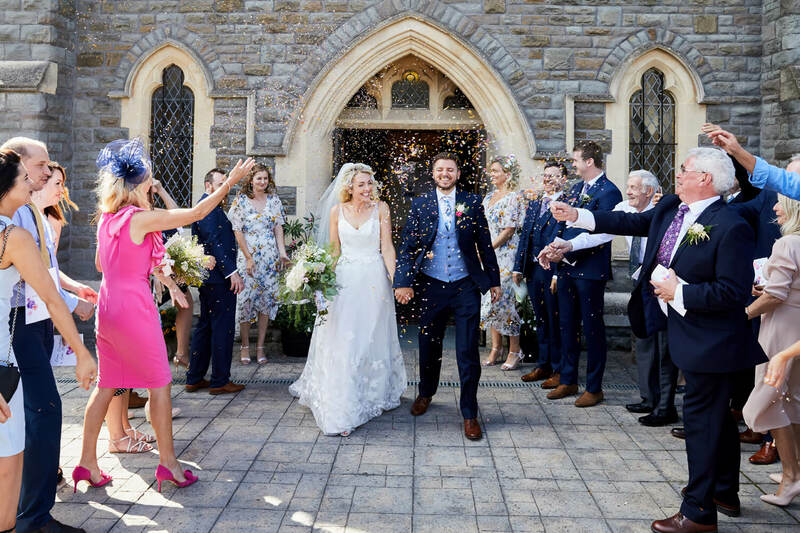 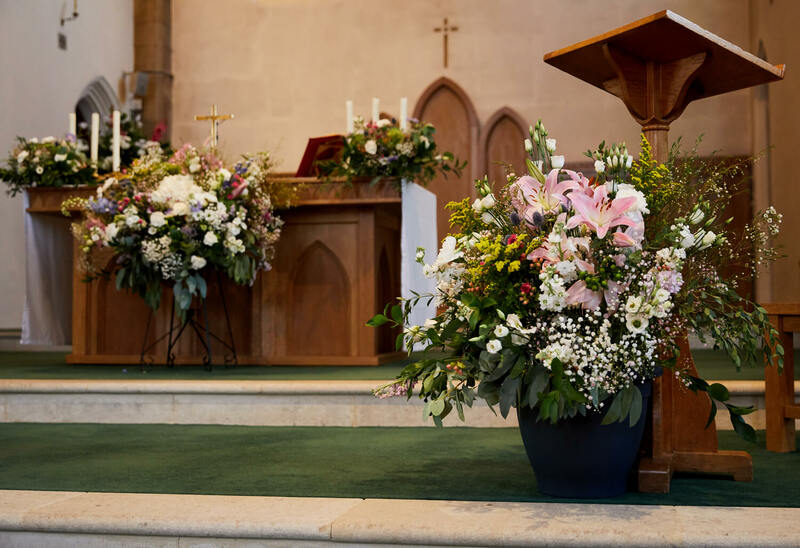 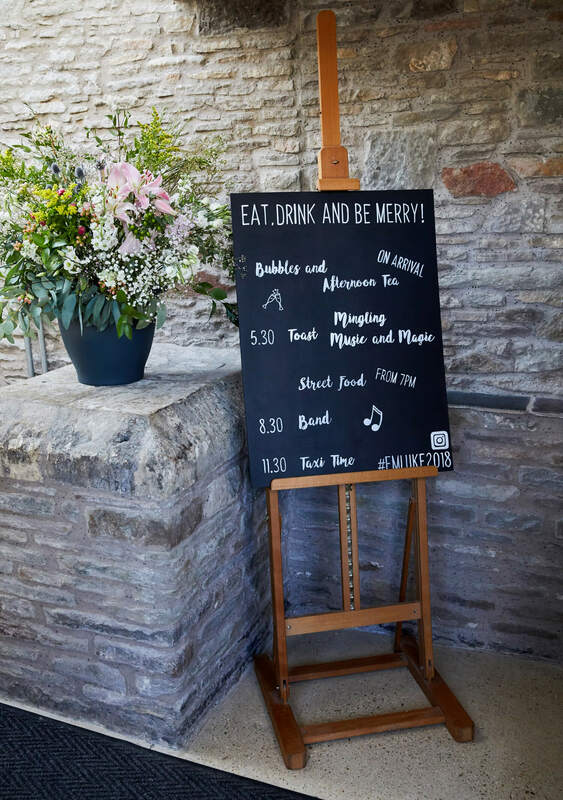 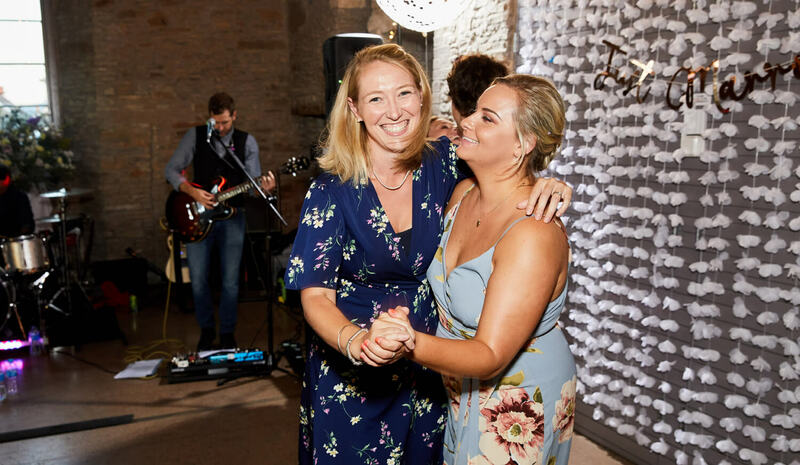 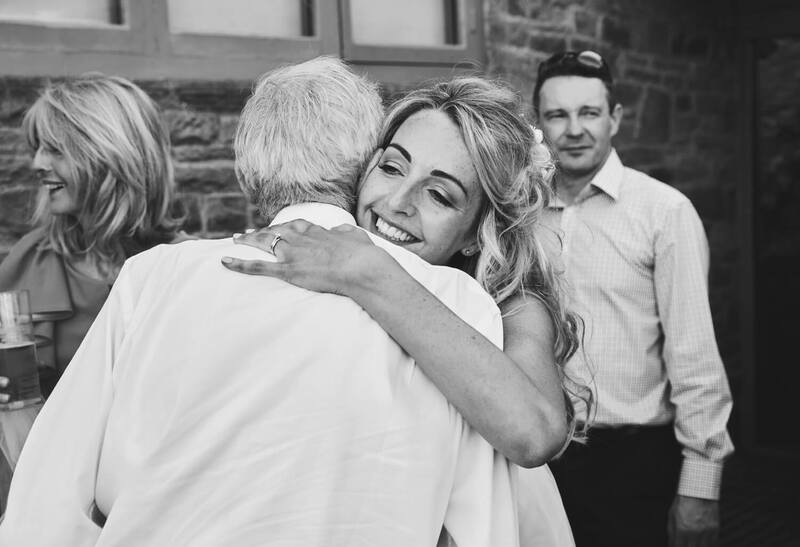 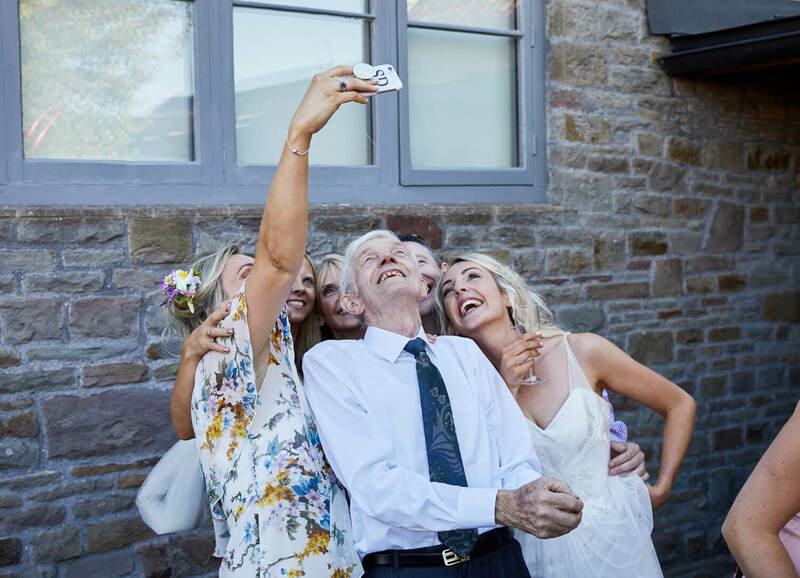 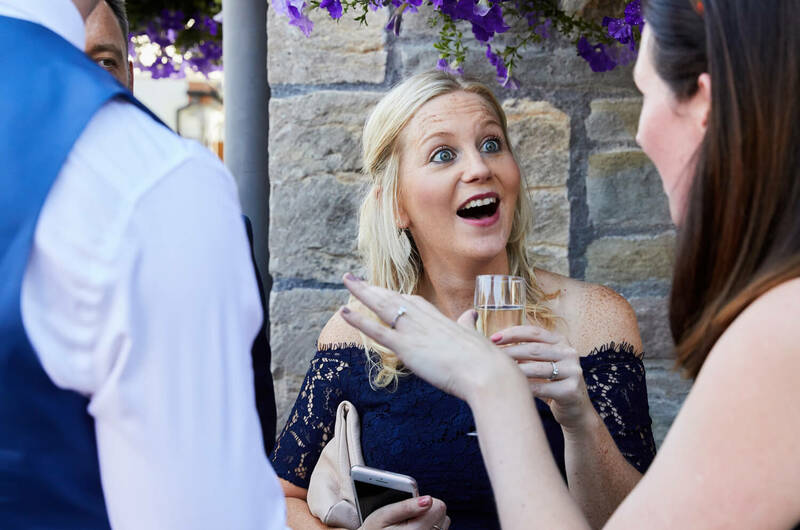 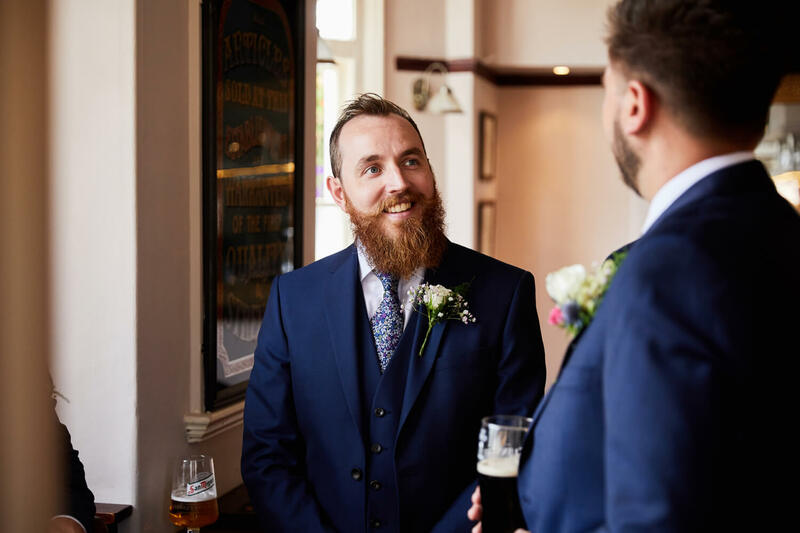 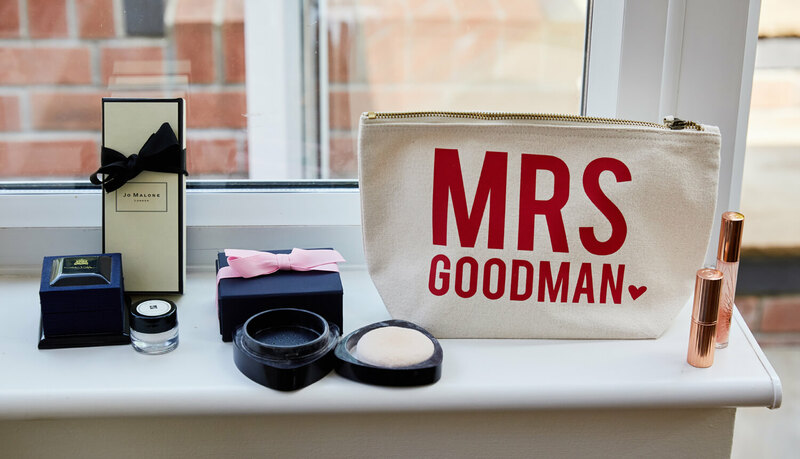 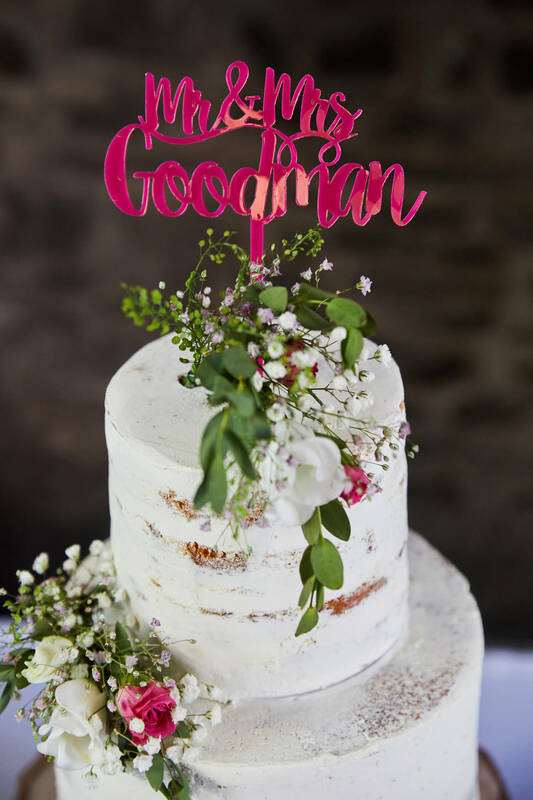 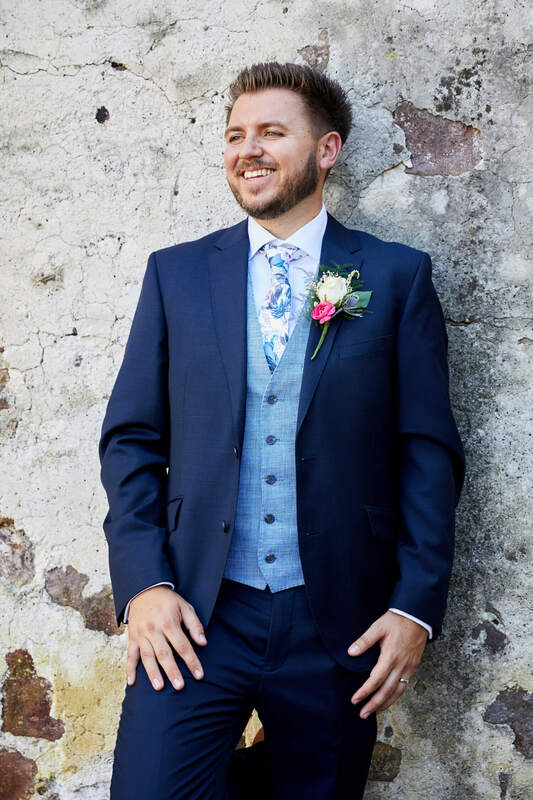 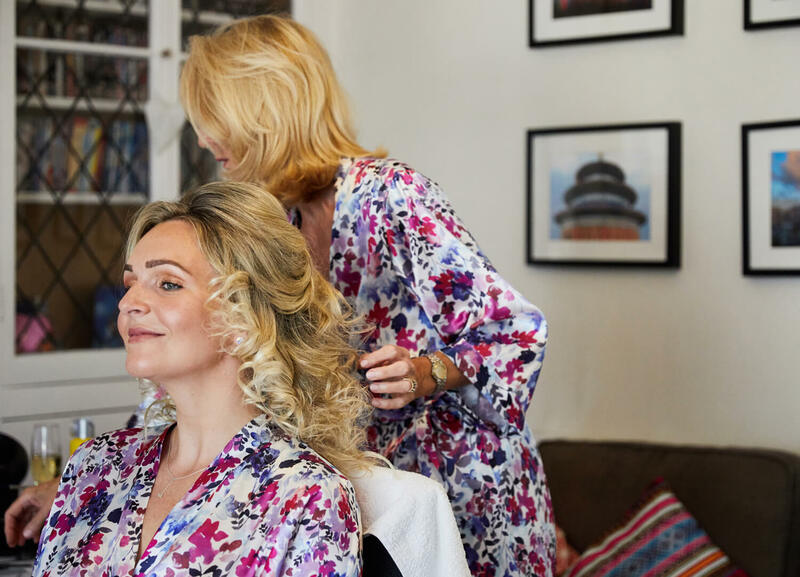 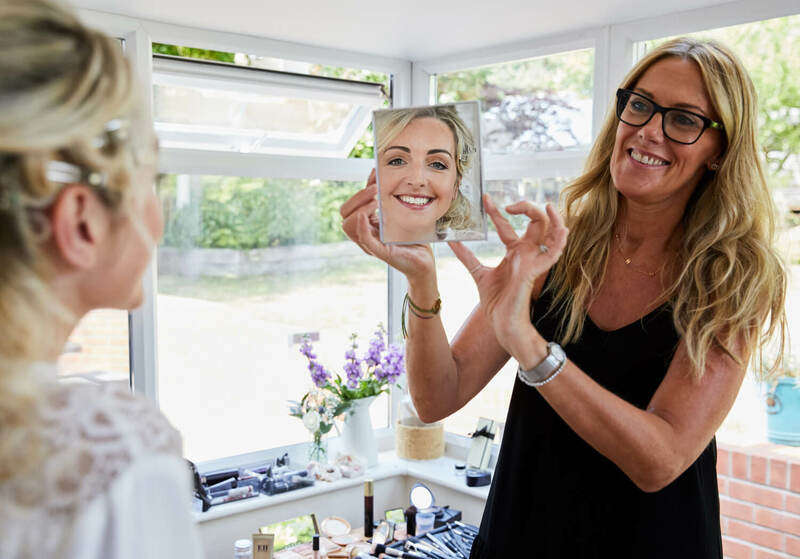 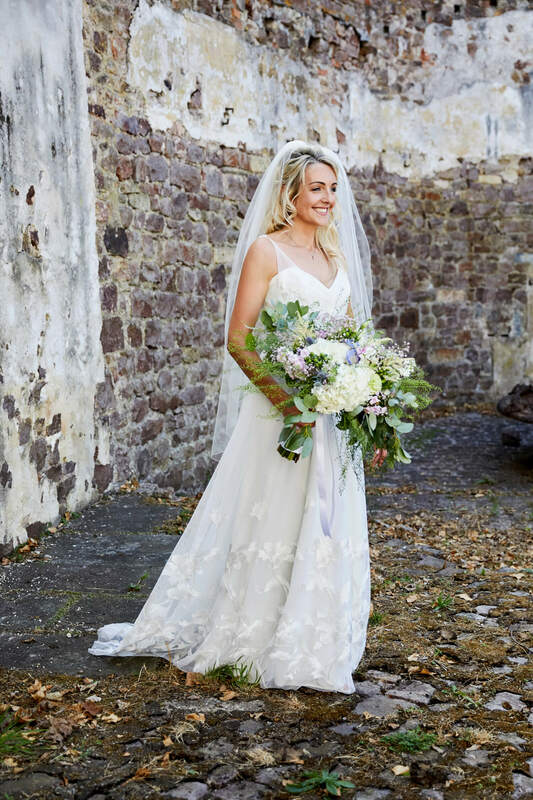 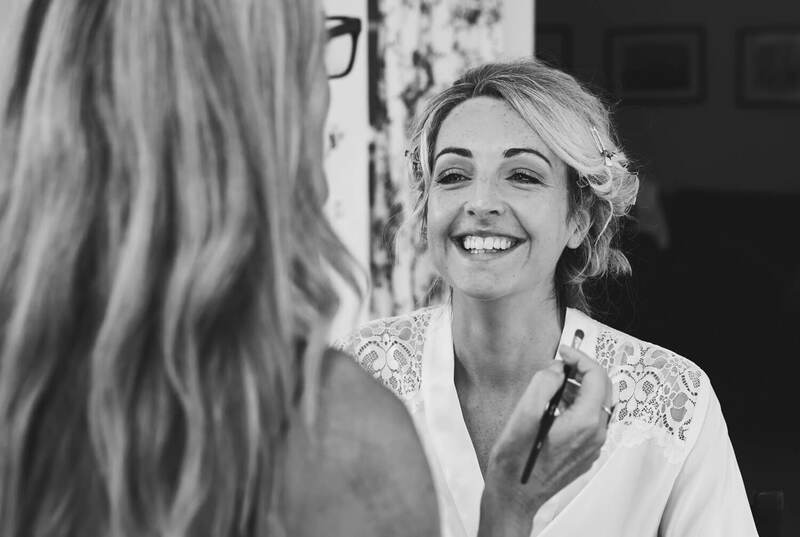 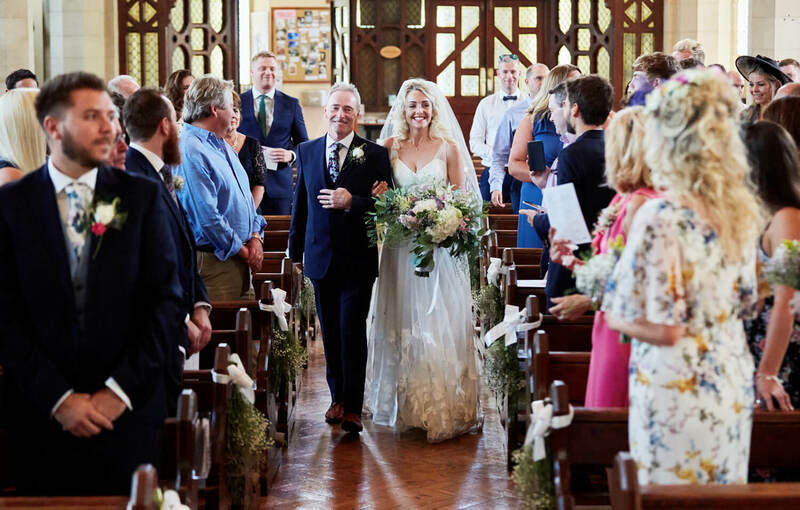 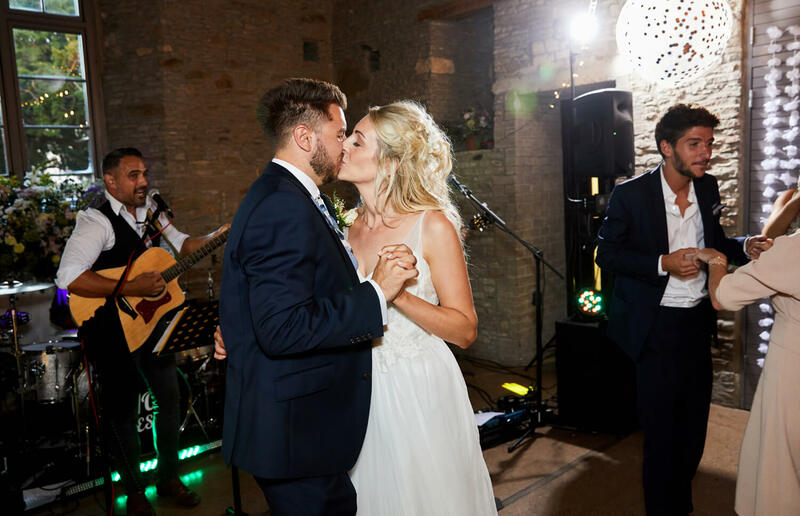 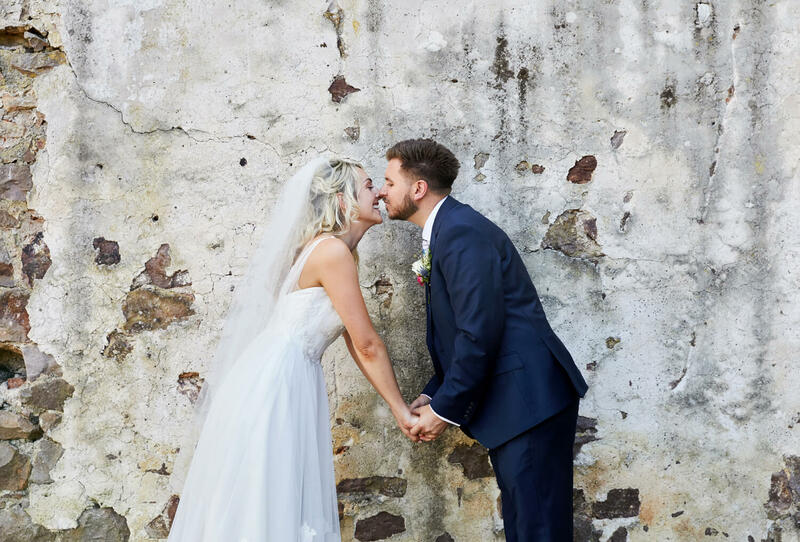 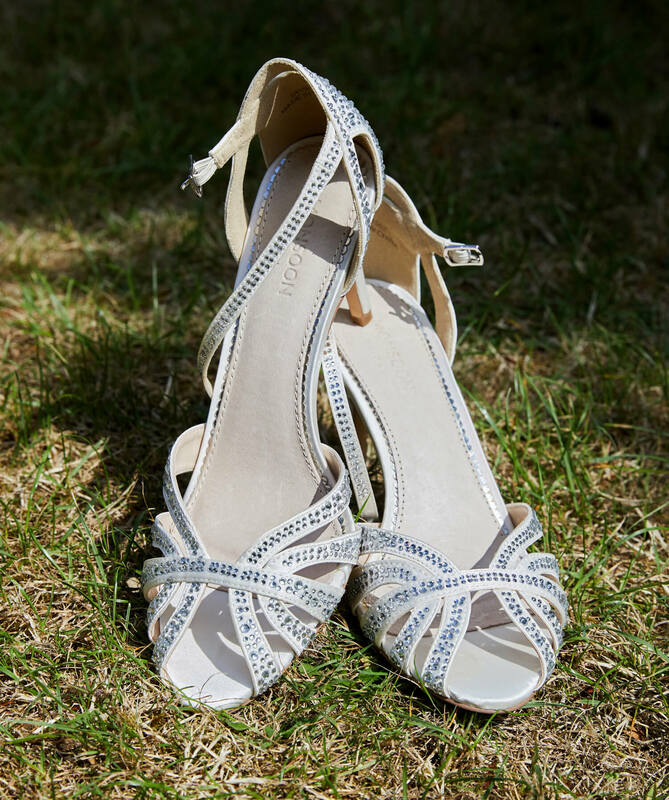 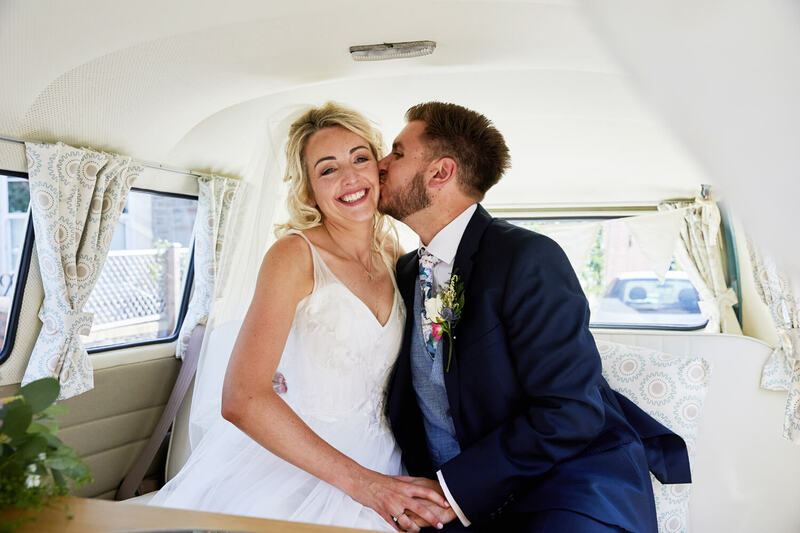 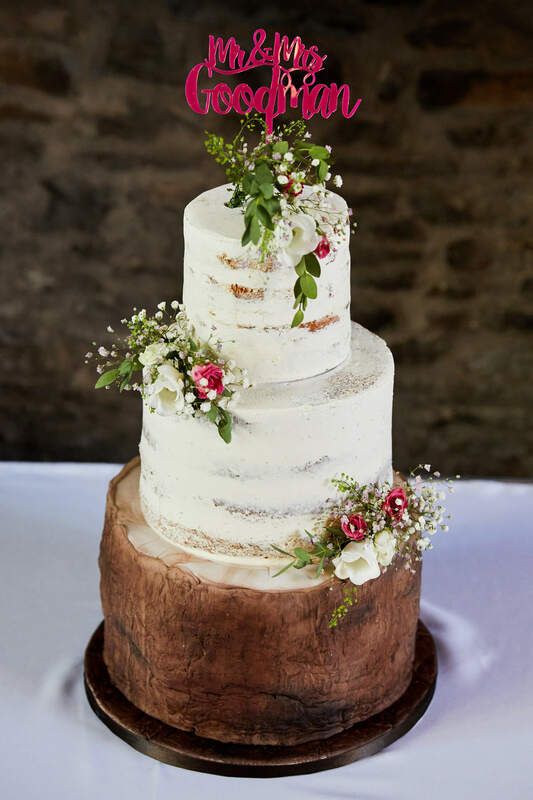 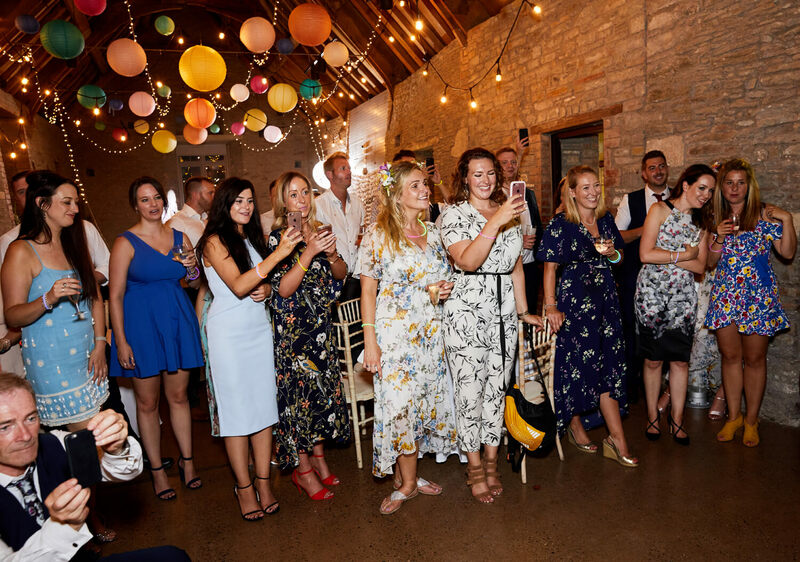 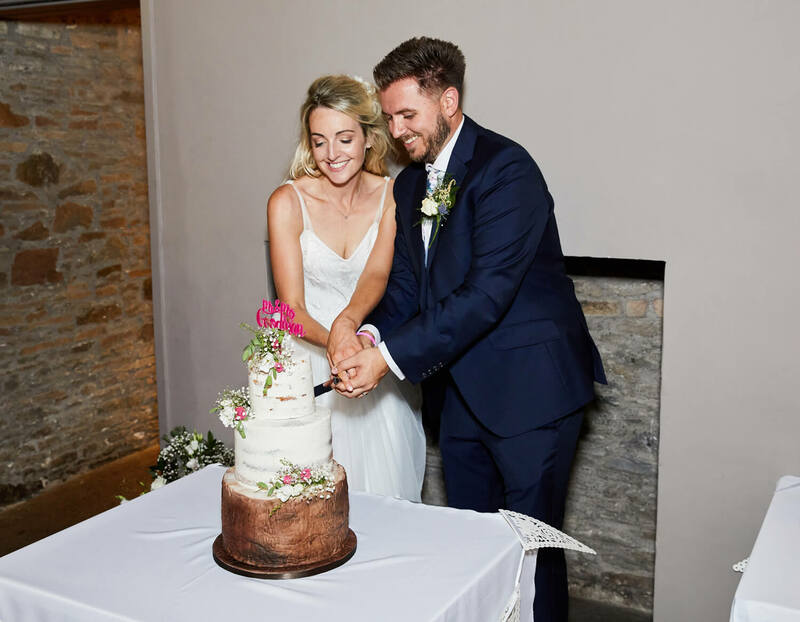 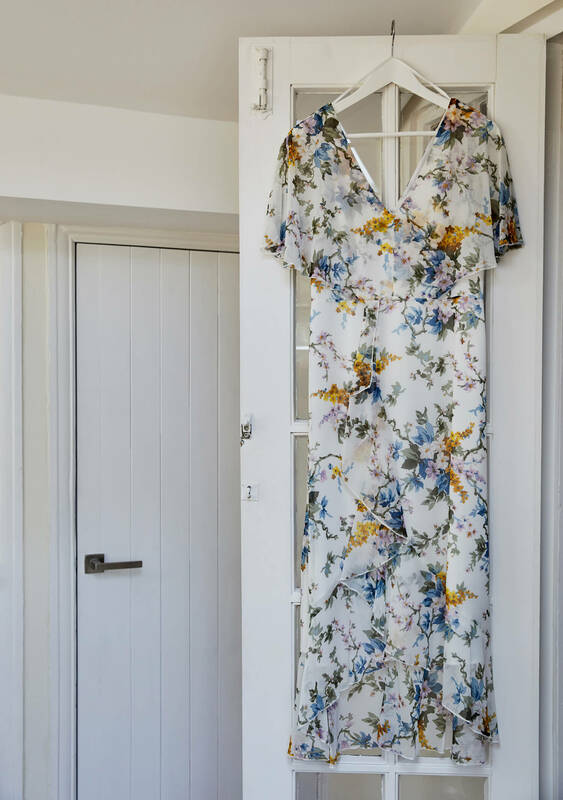 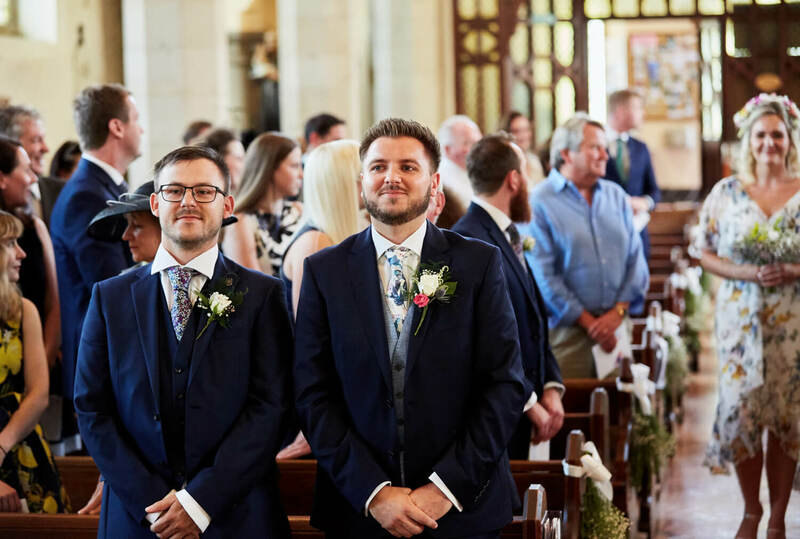 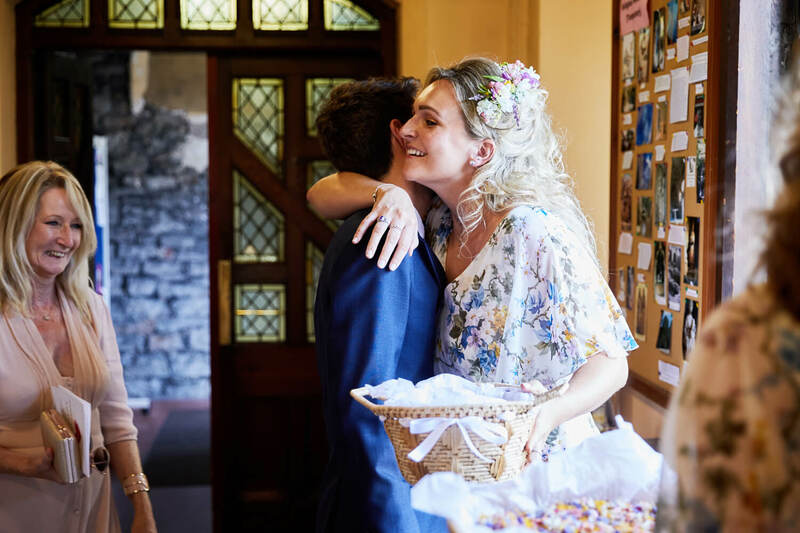 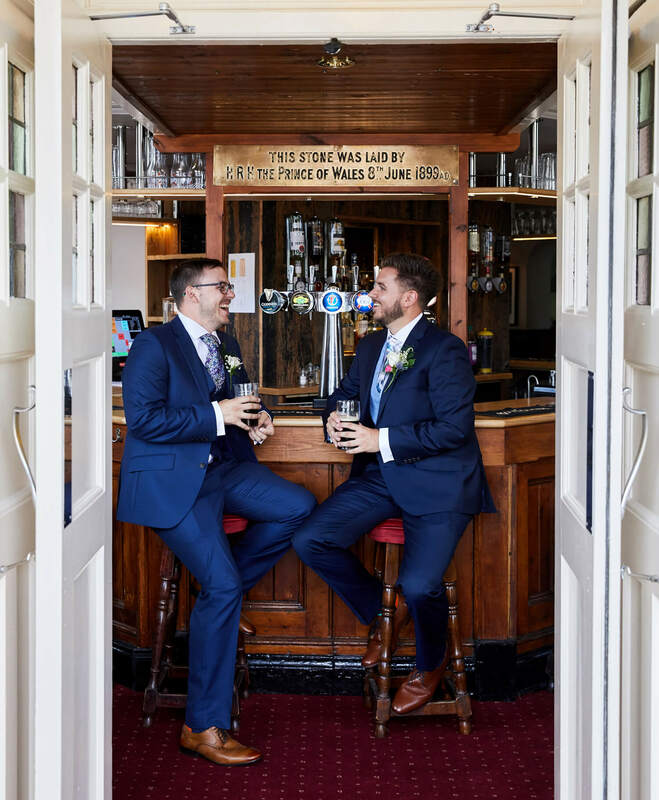 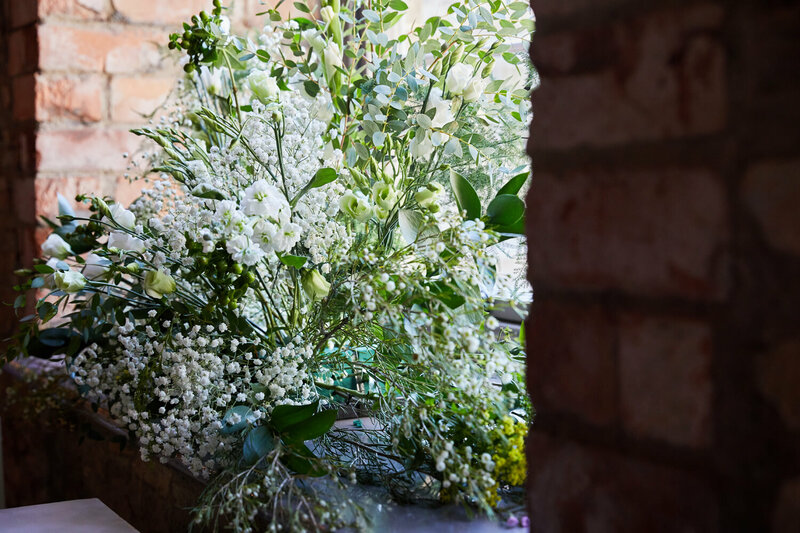 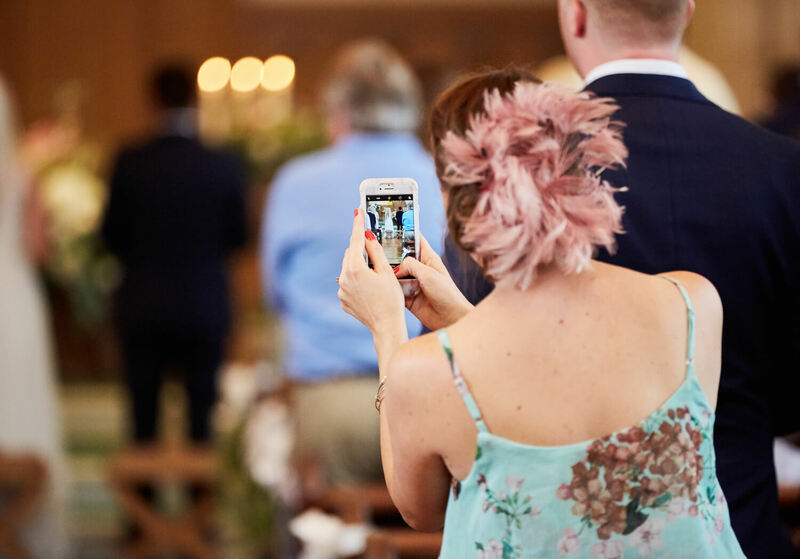 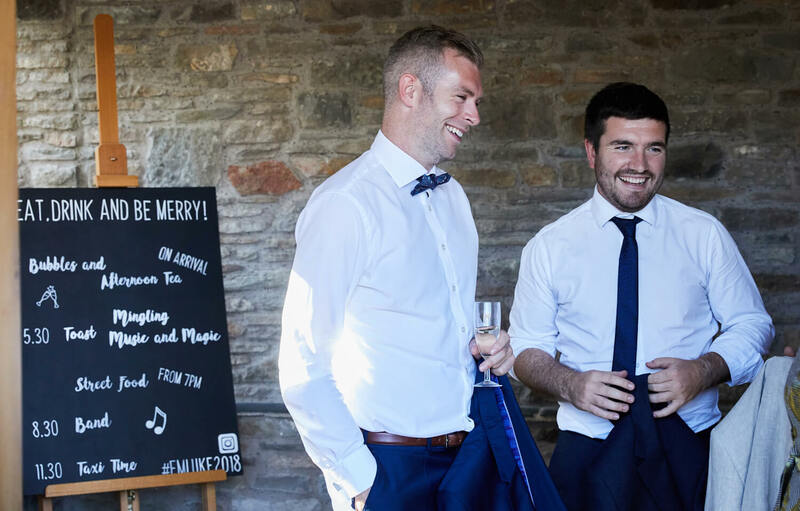 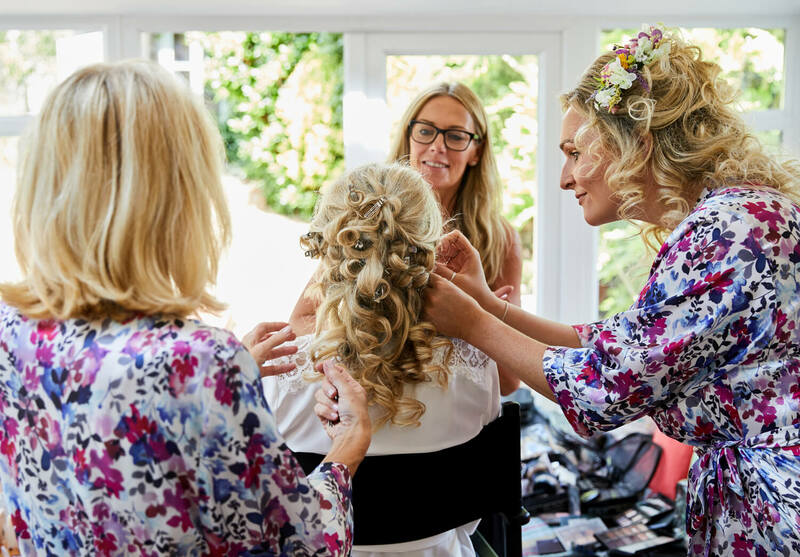 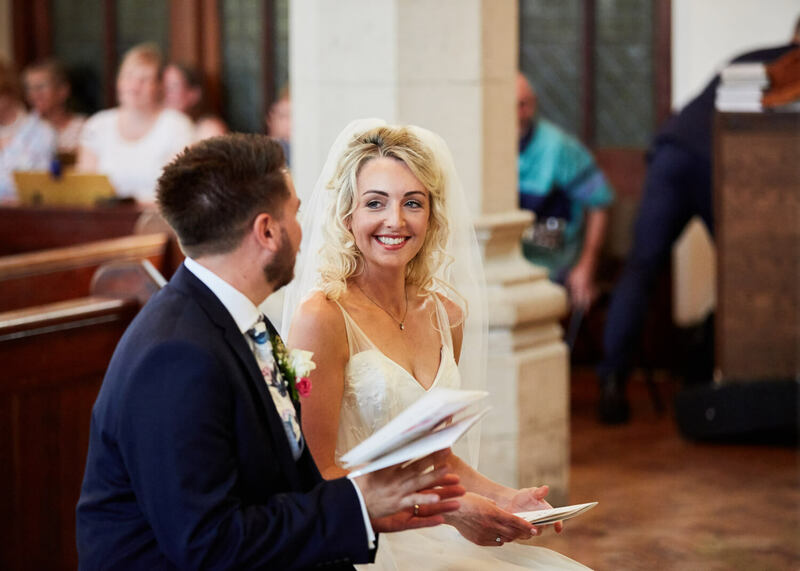 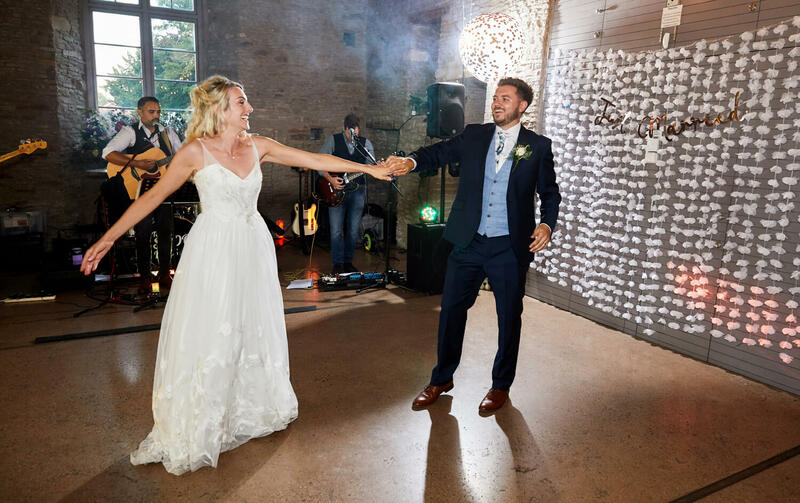 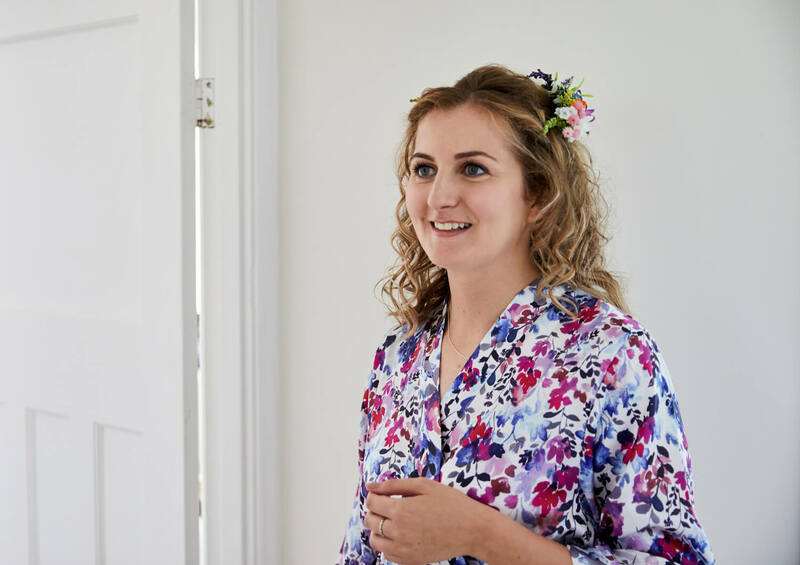 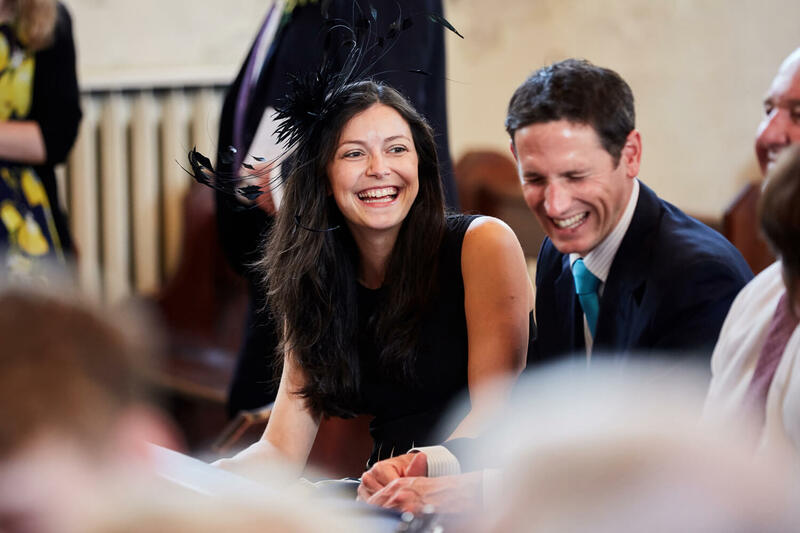 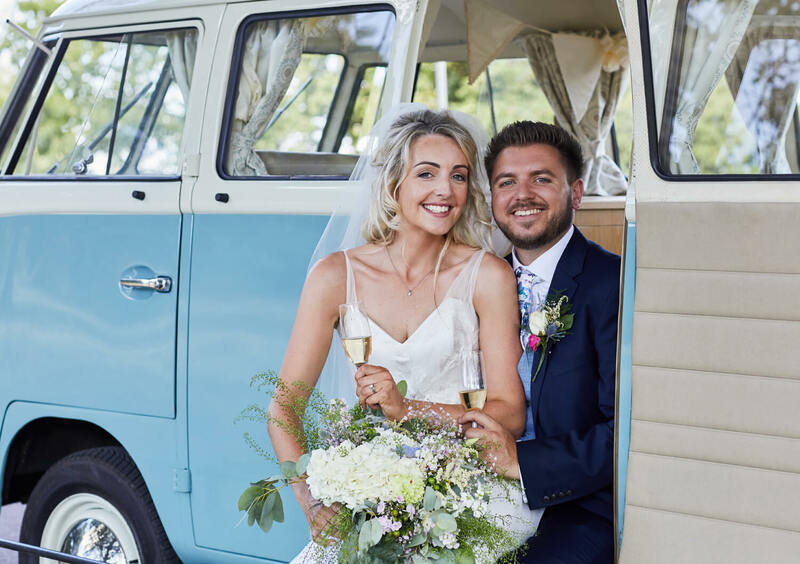 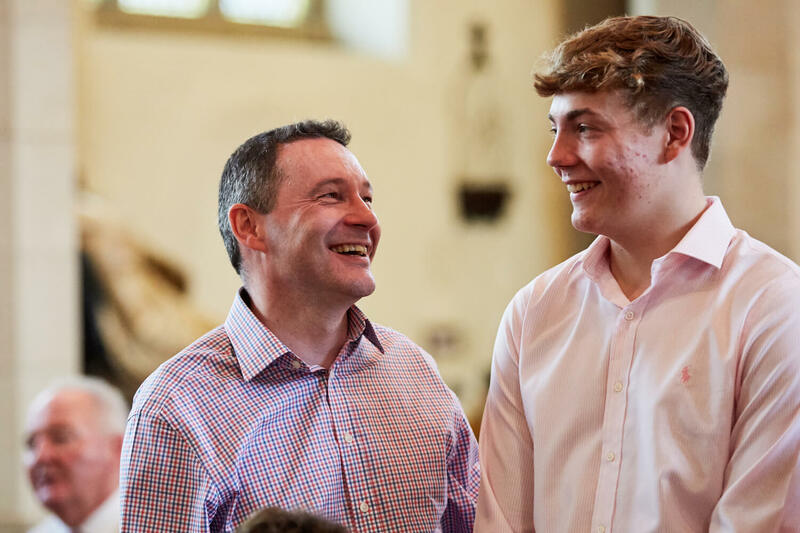 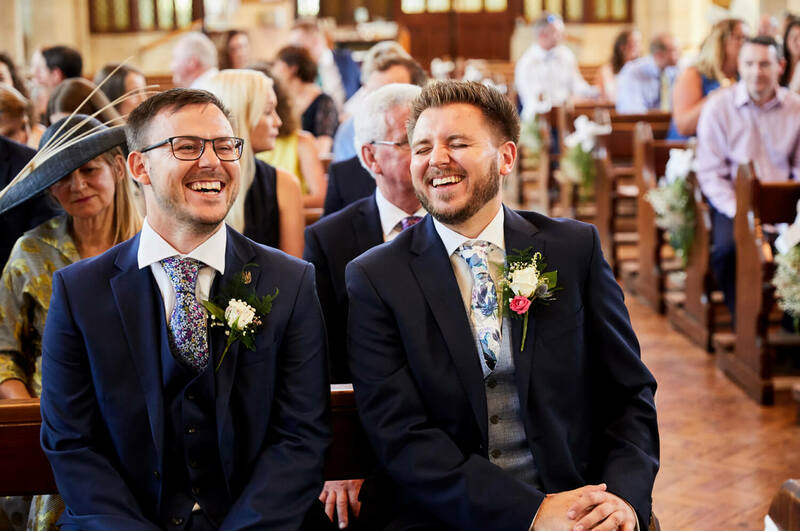 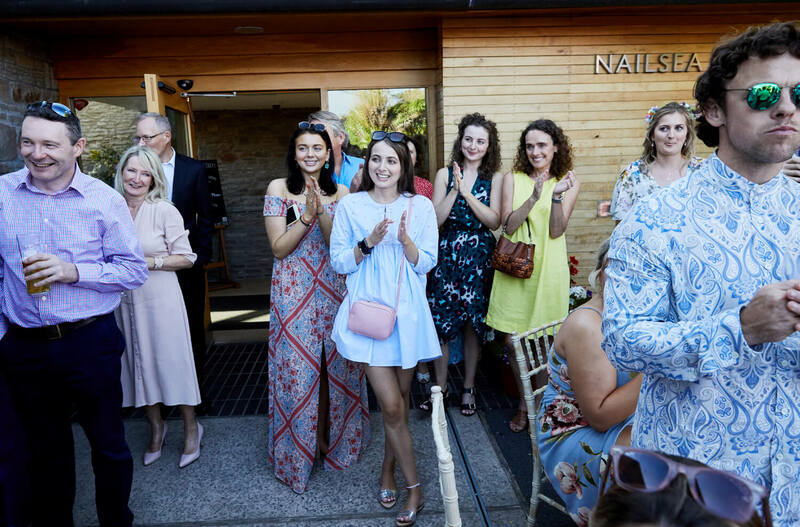 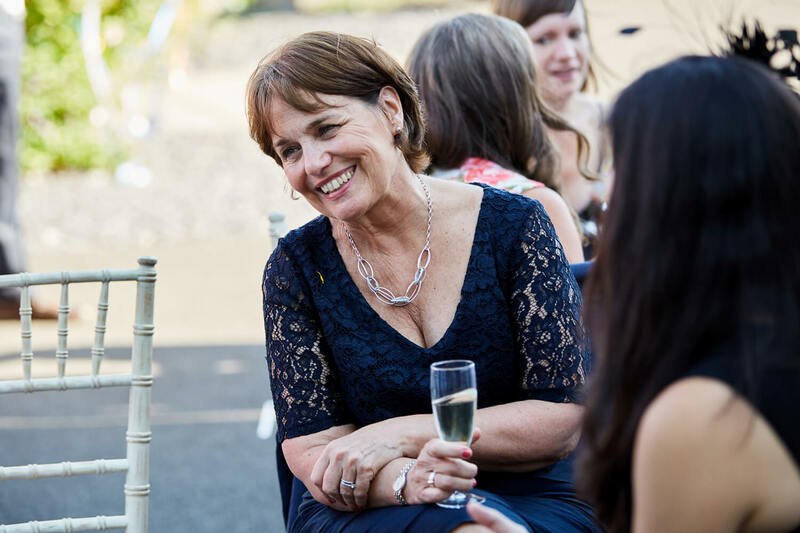 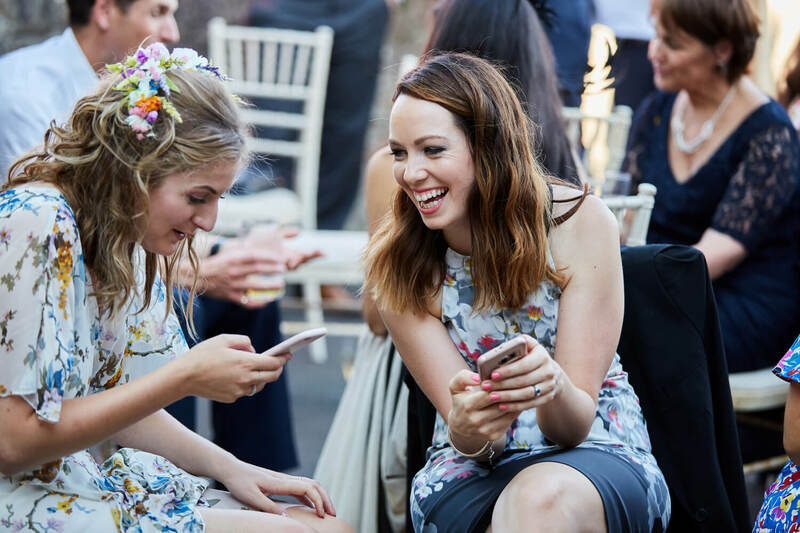 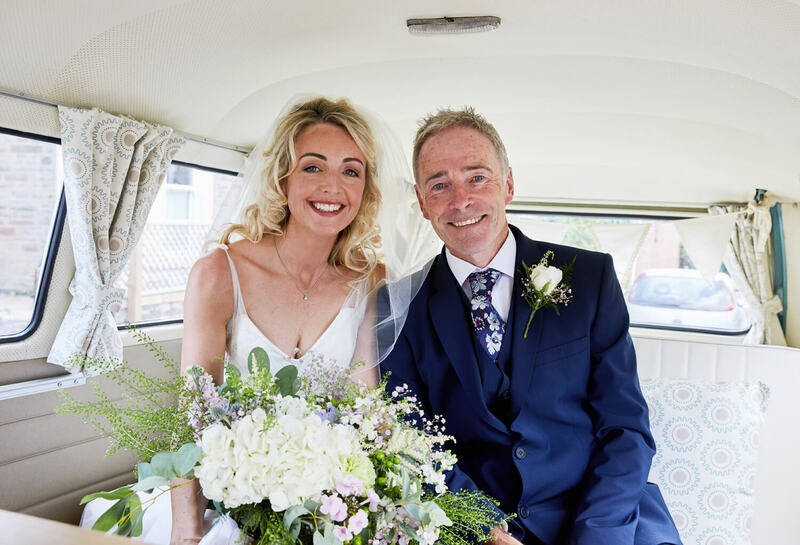 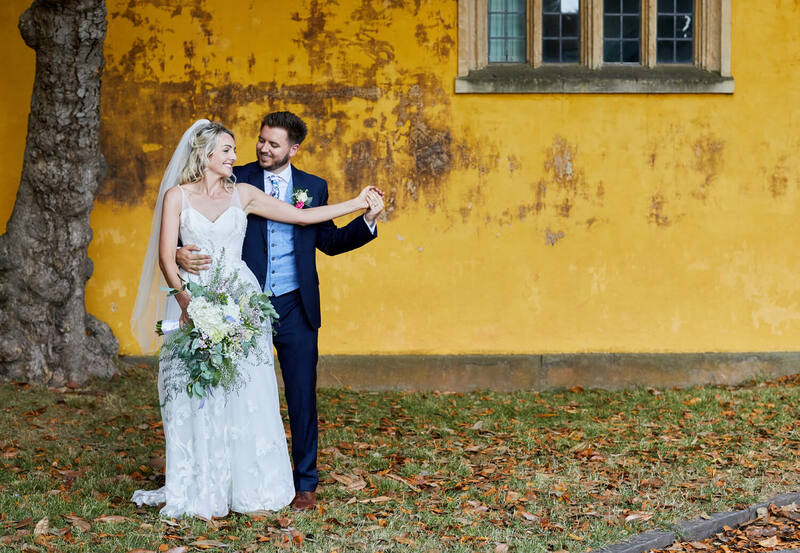 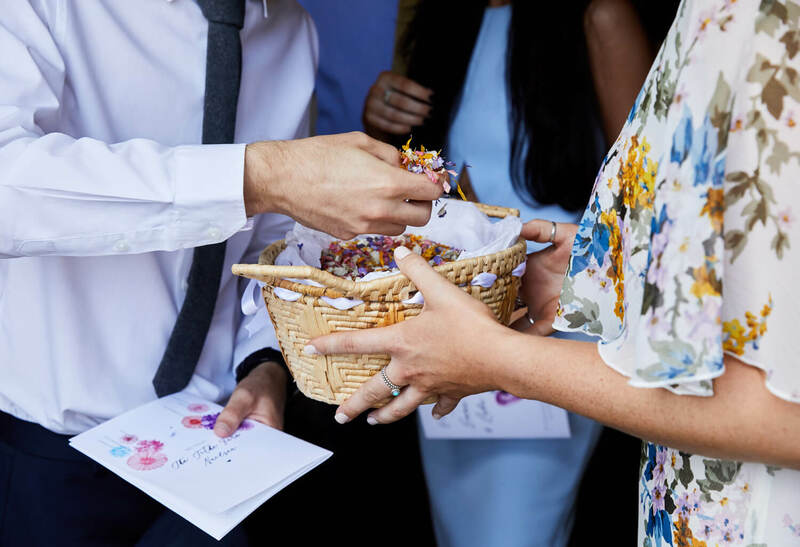 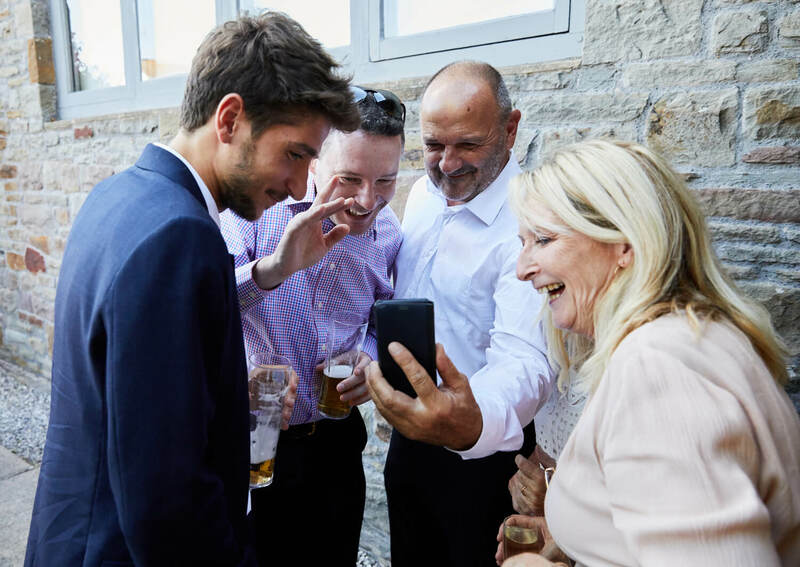 Nailsea Tithe Barn wedding photography – Simon captures creative photography for relaxed & fun loving couples in the South West and further afield.